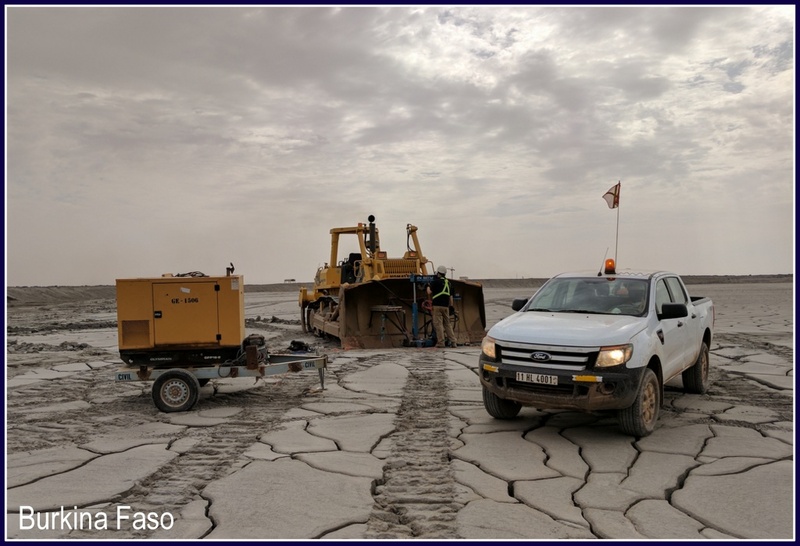 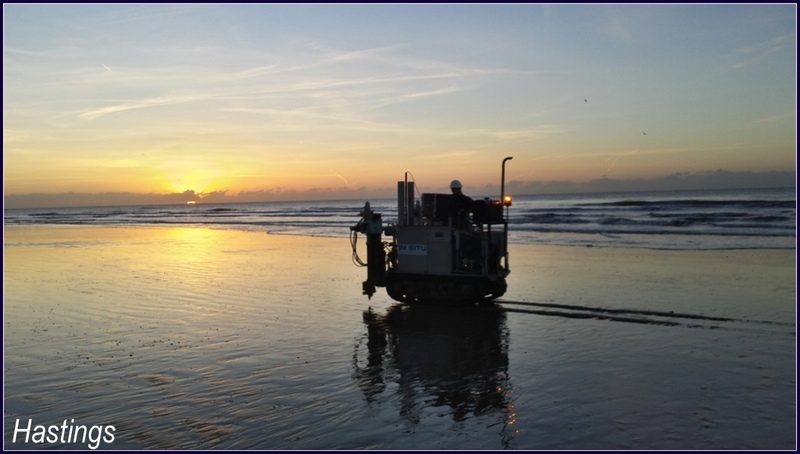 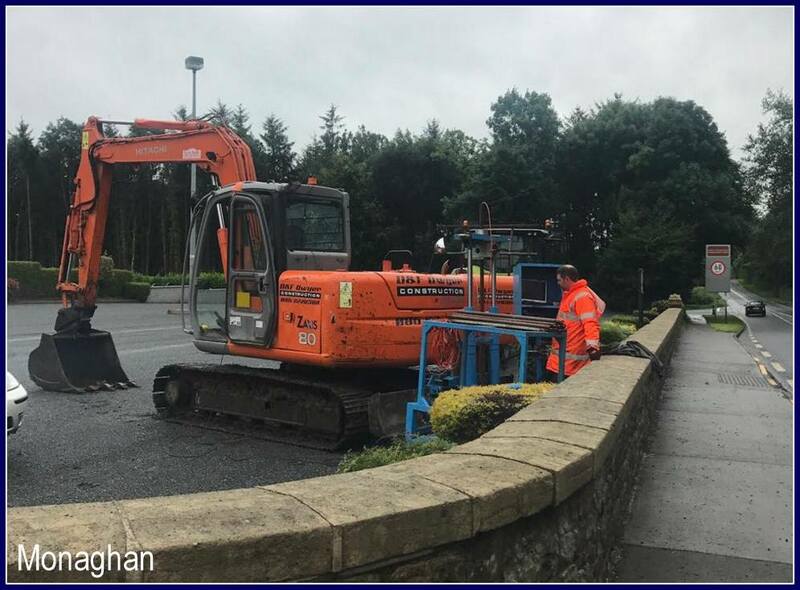 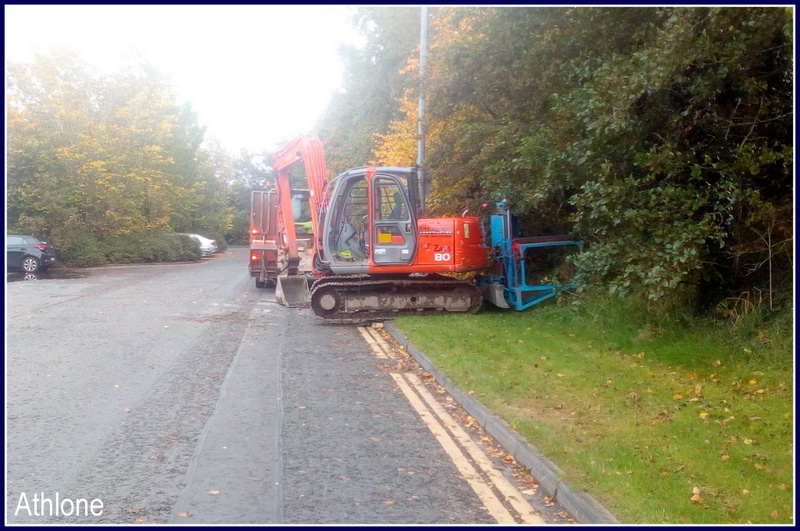 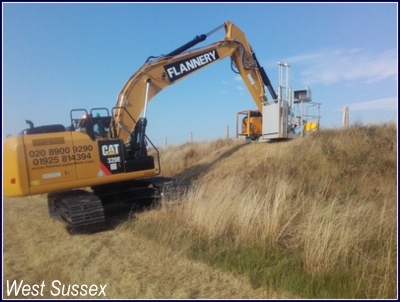 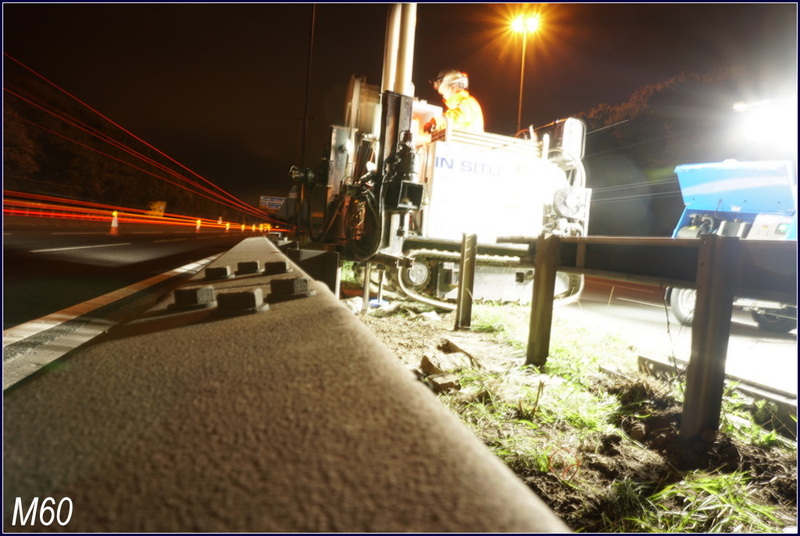 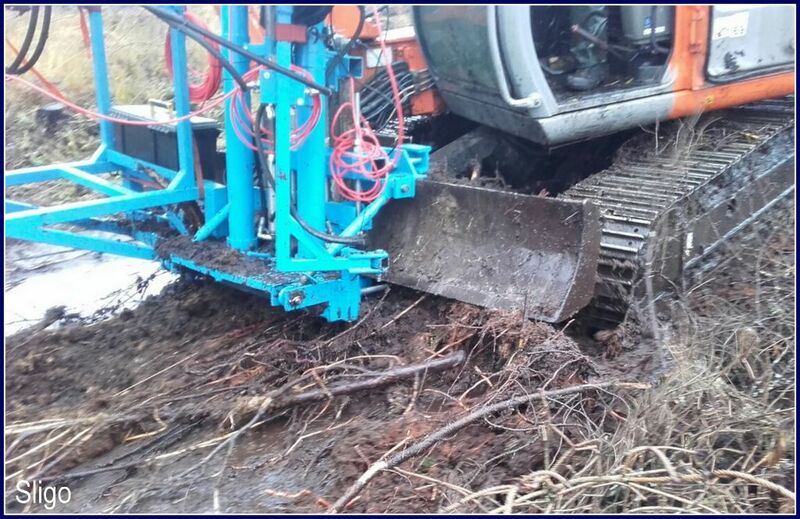 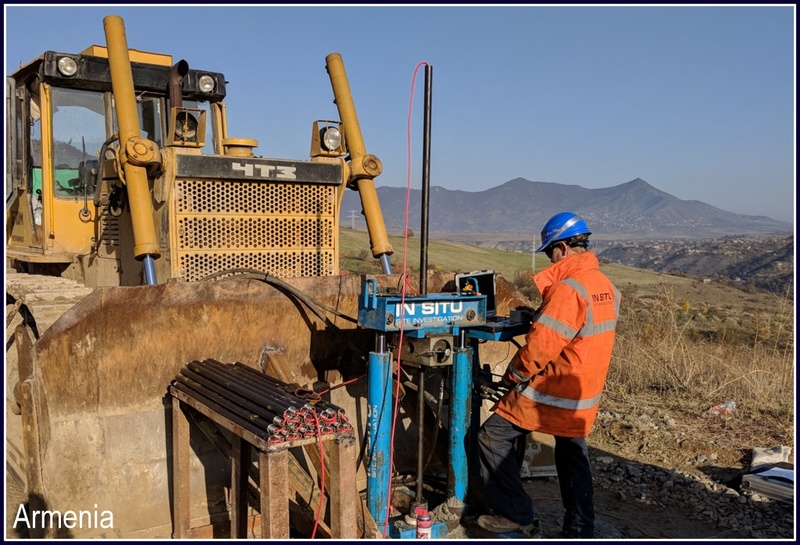 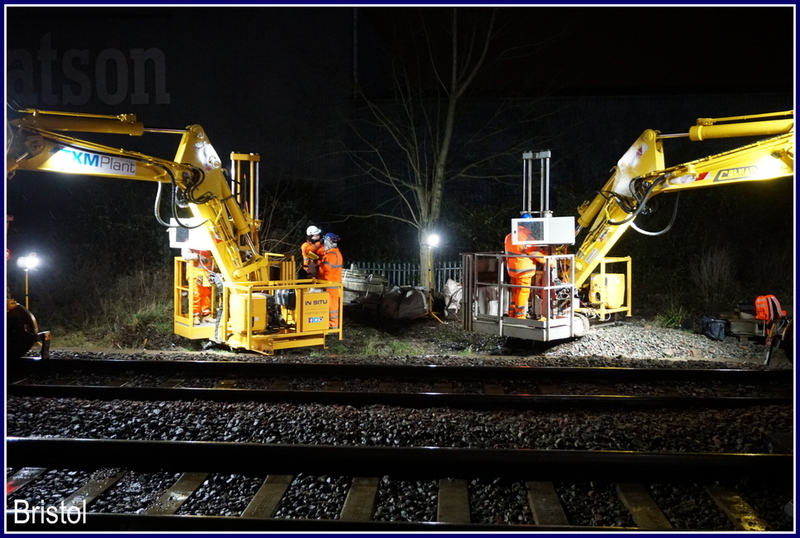 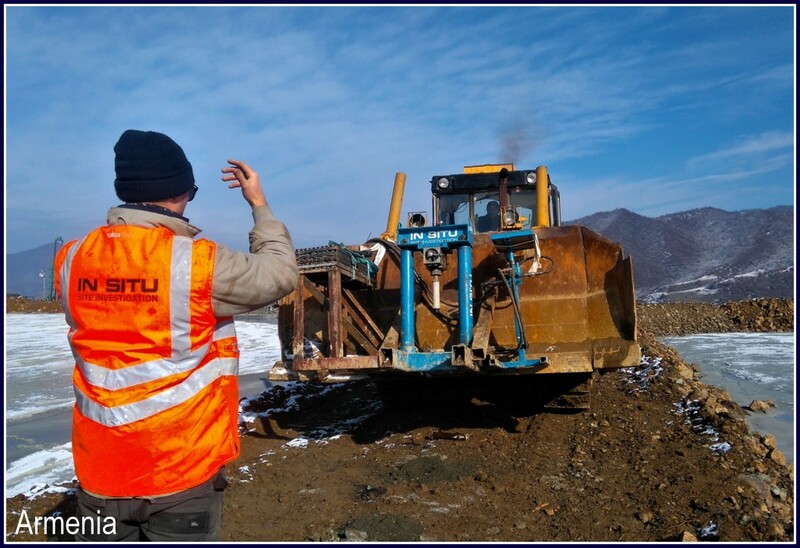 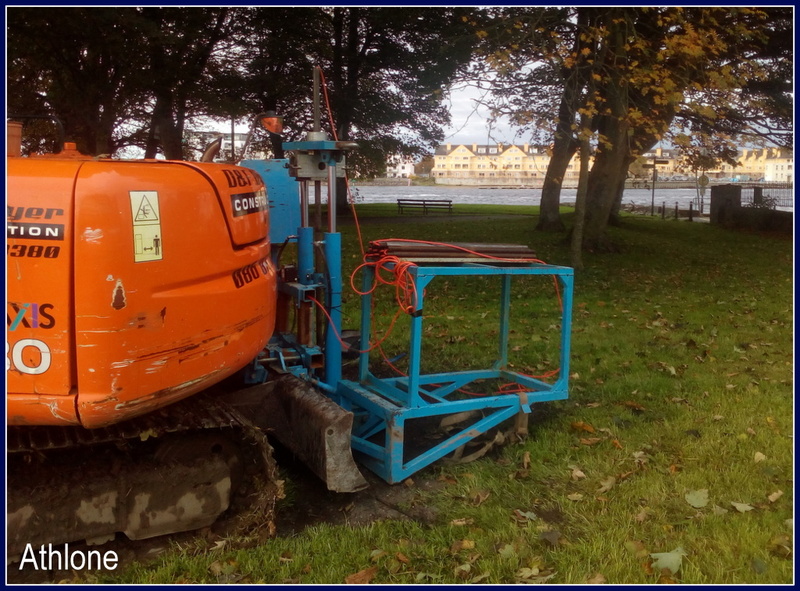 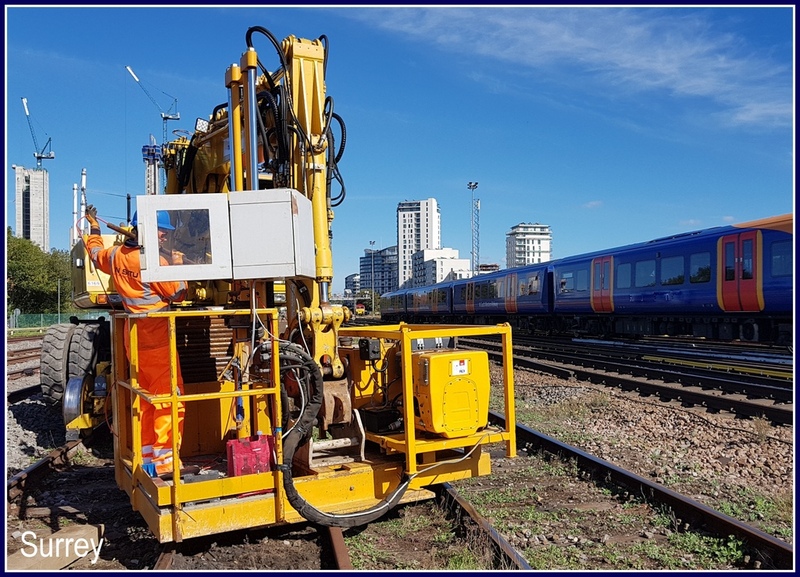 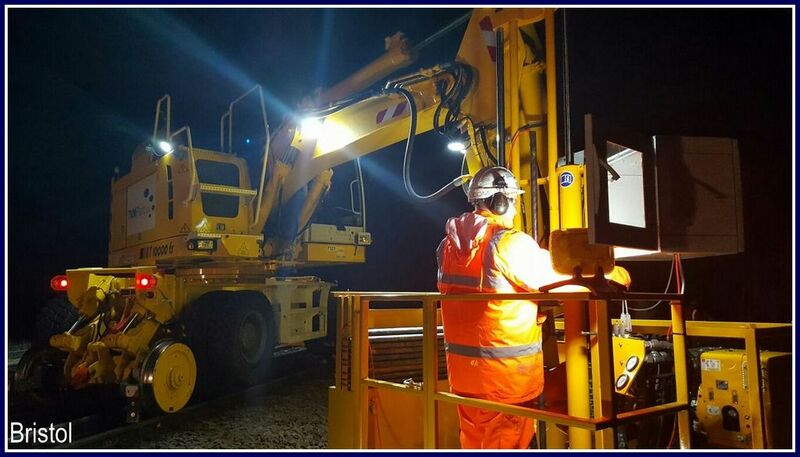 Projects often require CPTs in a variety of locations with varied terrain, including motorways, rugged mountainous terrain, offshore and rail work where access may be restricted. 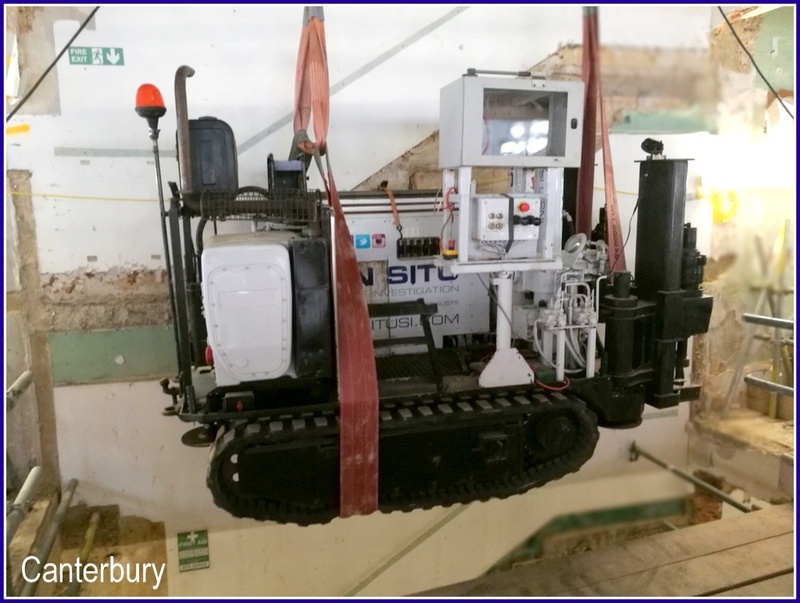 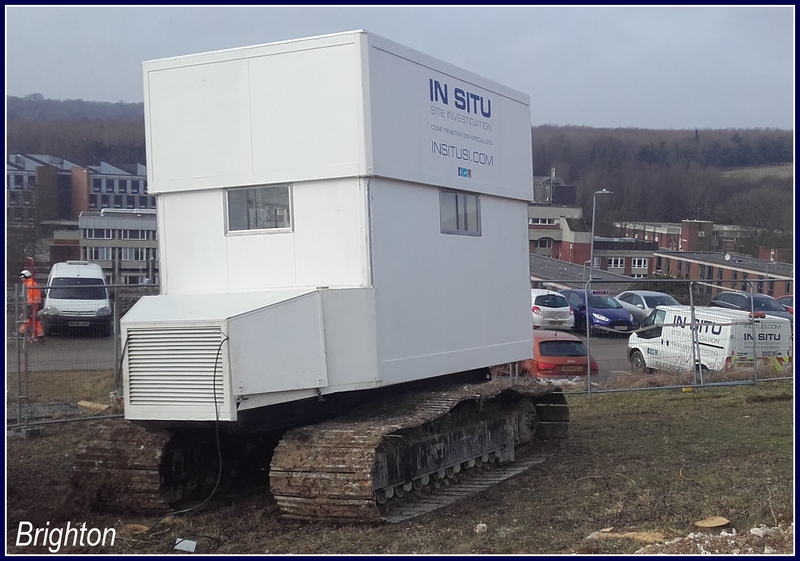 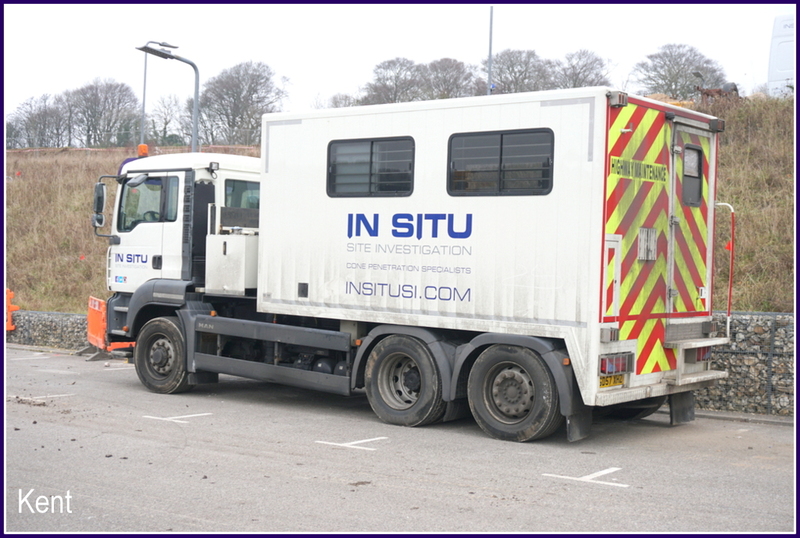 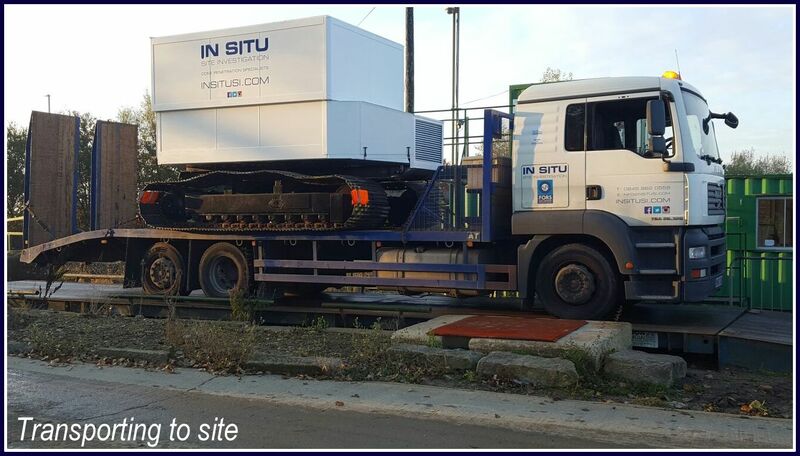 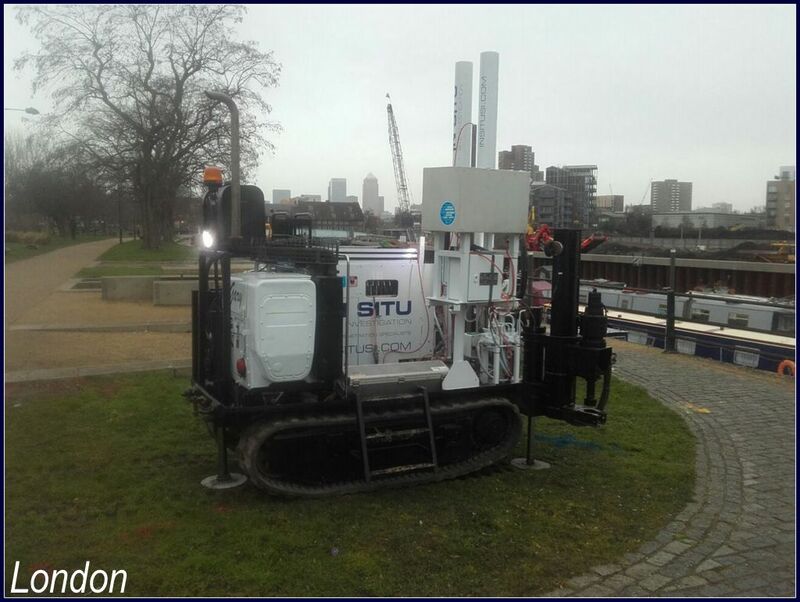 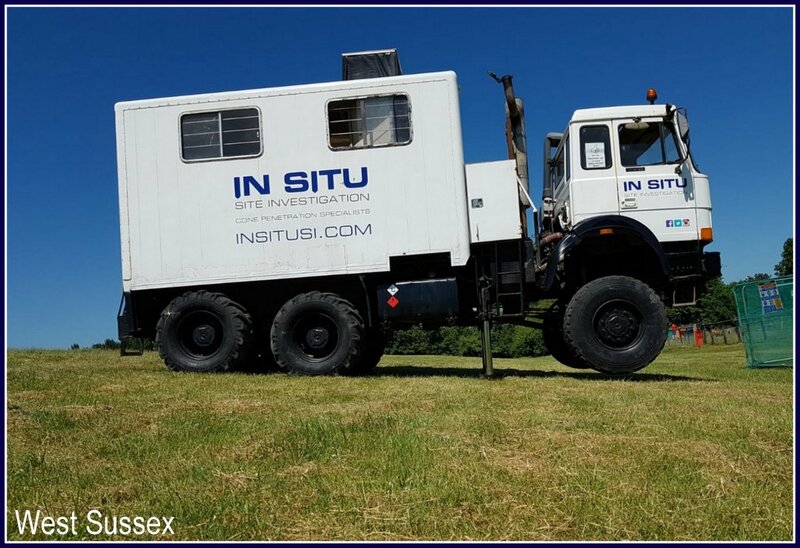 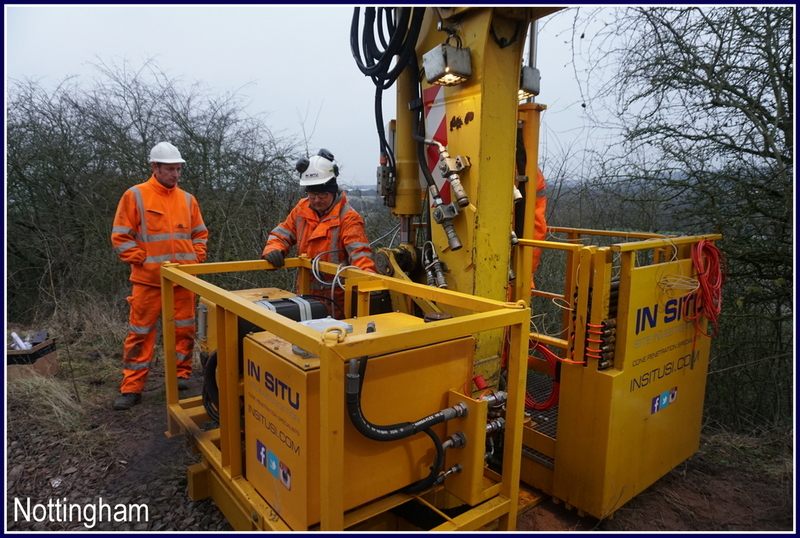 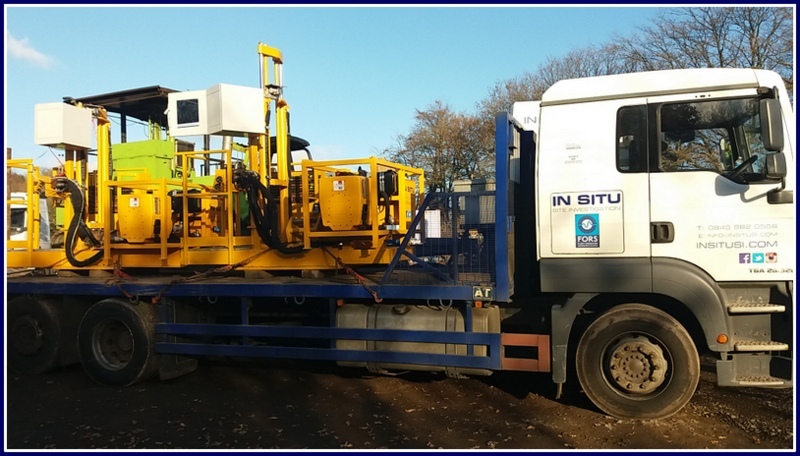 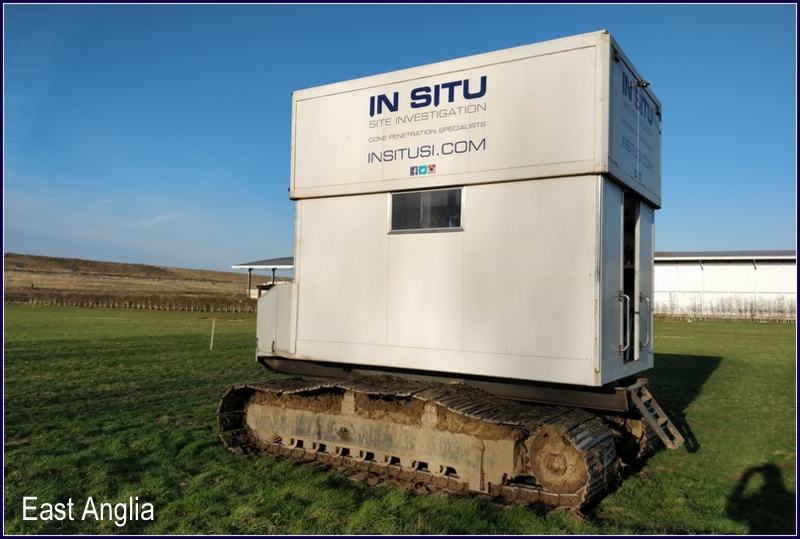 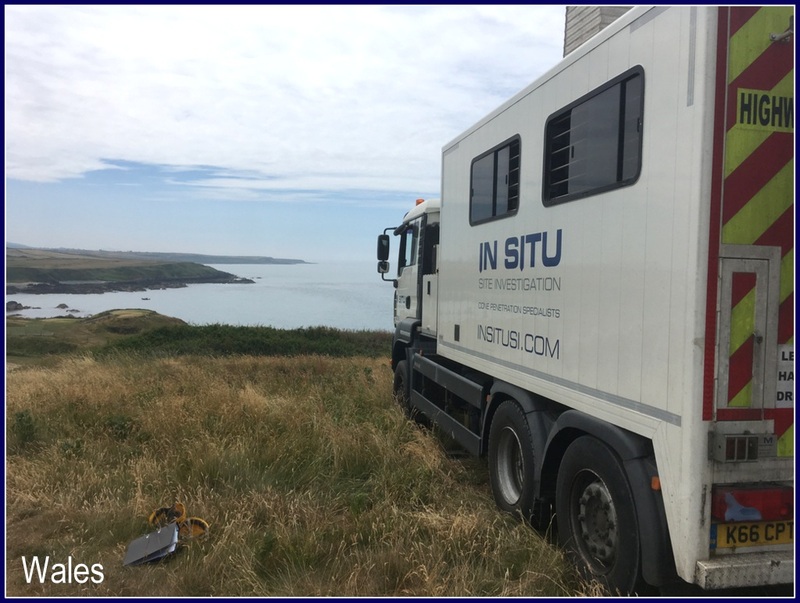 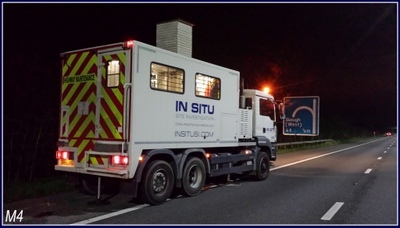 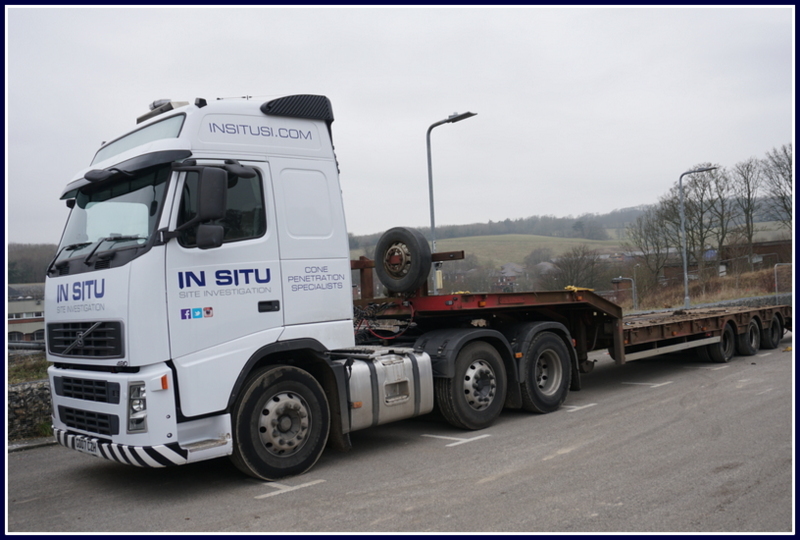 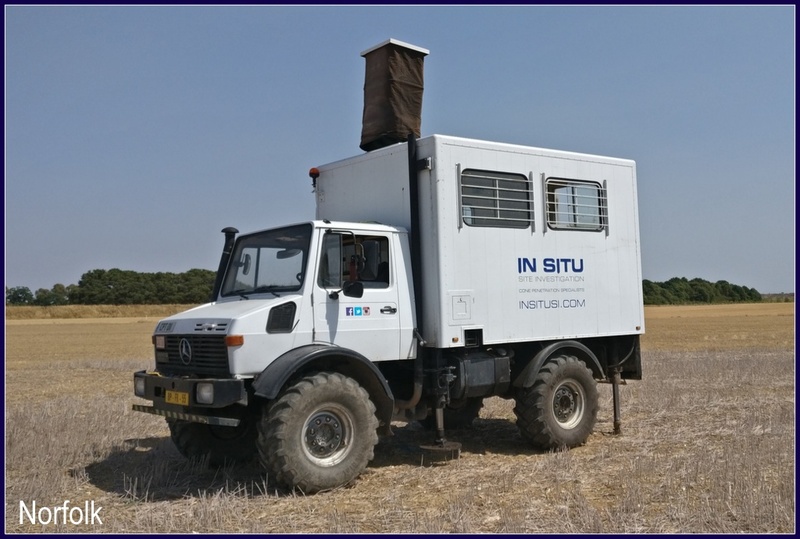 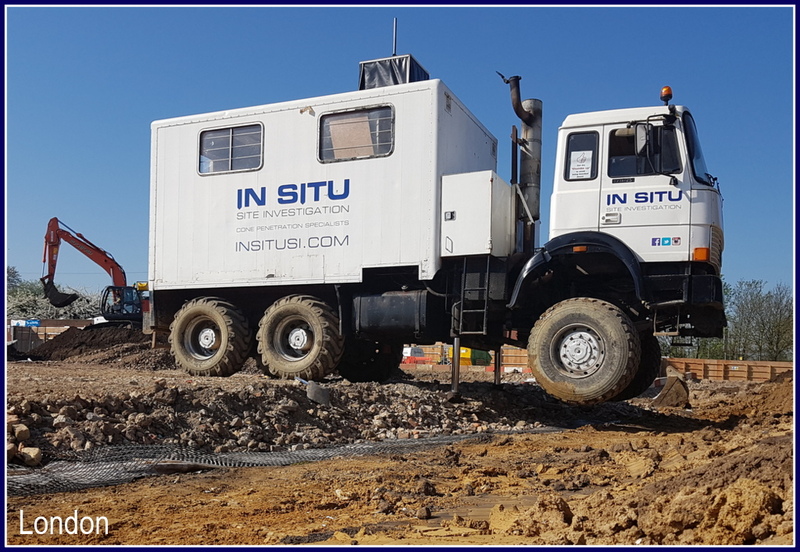 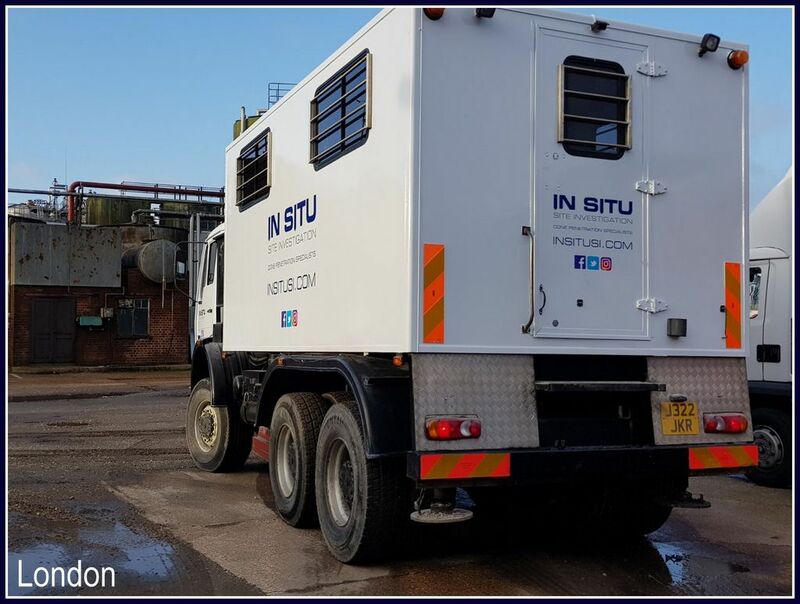 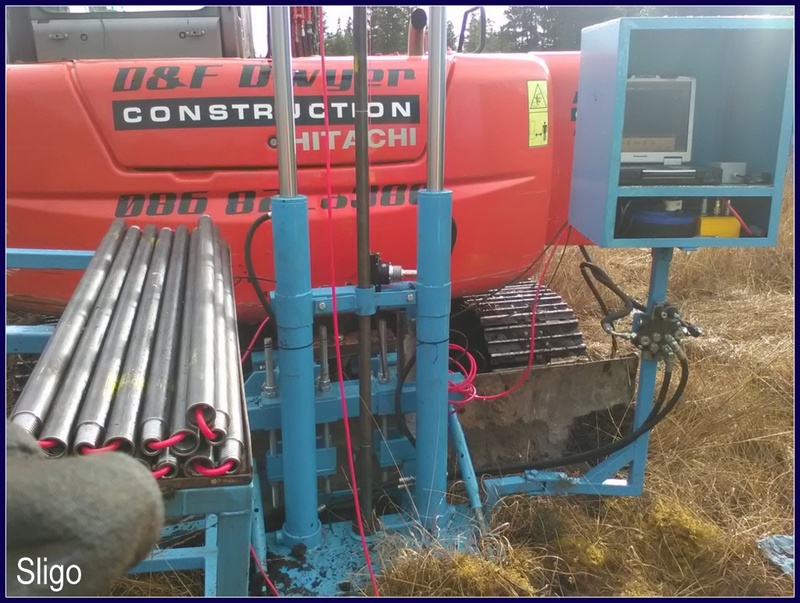 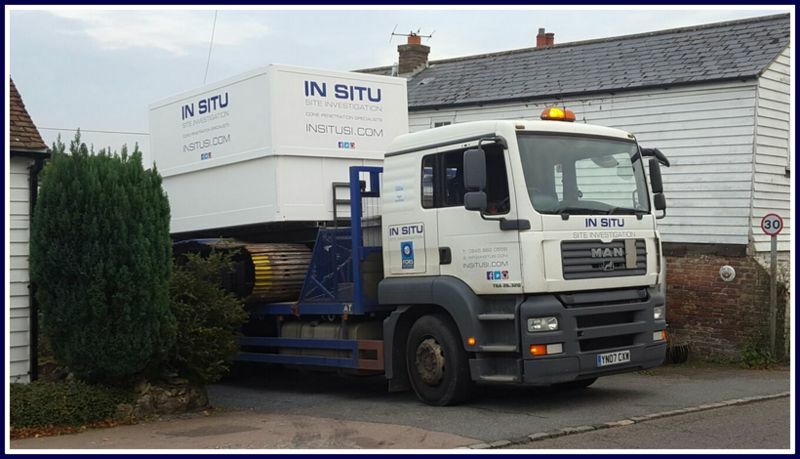 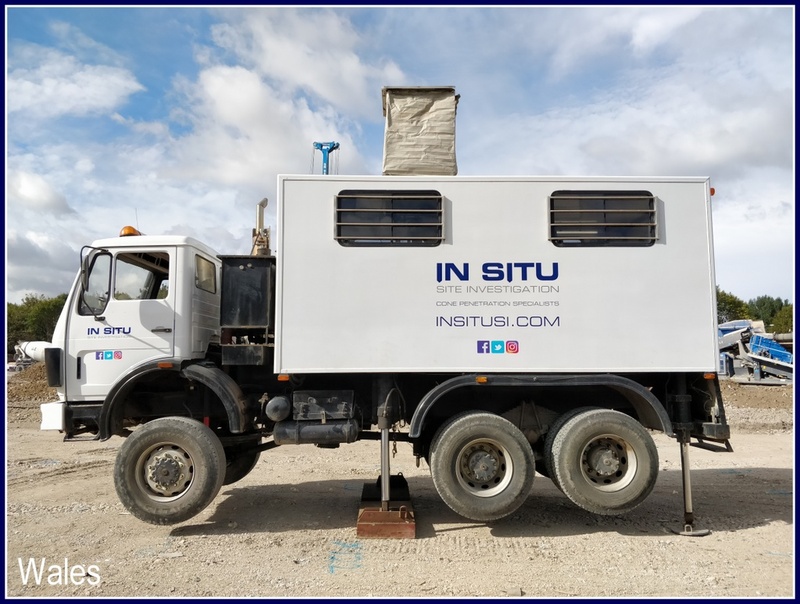 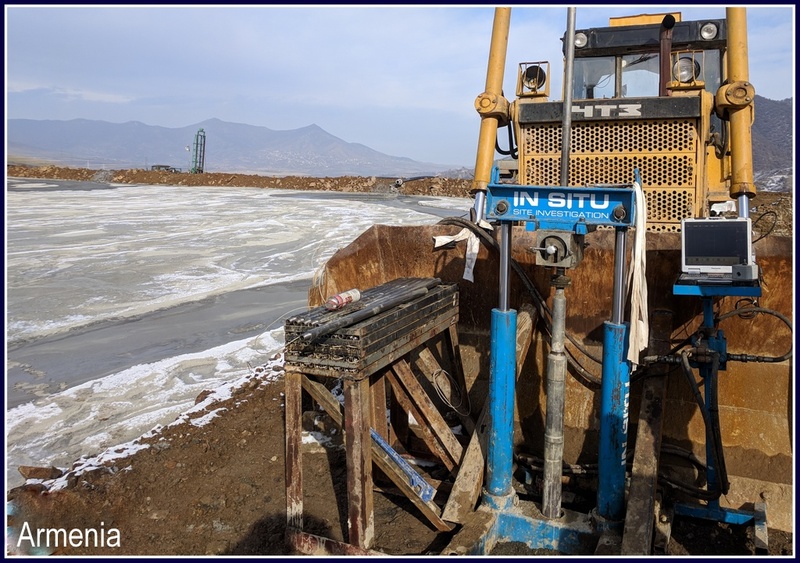 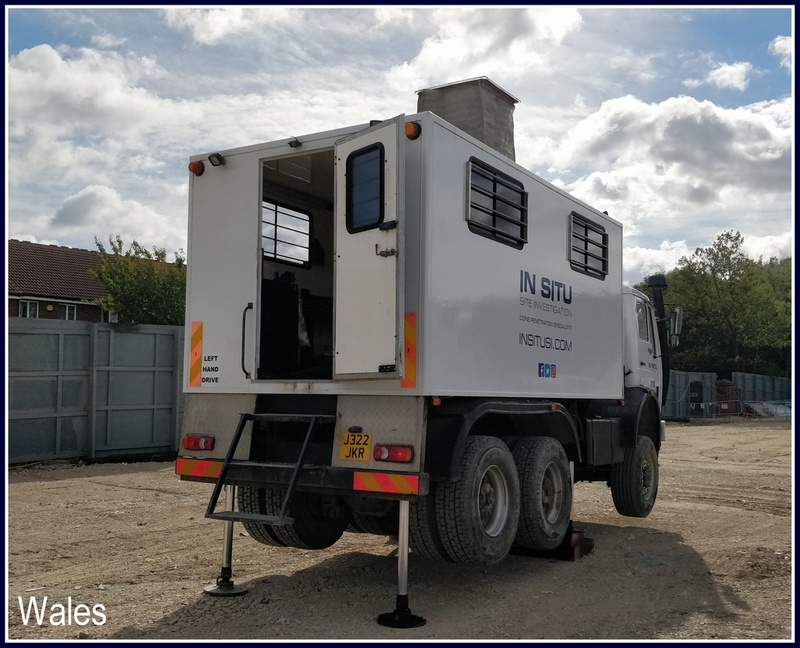 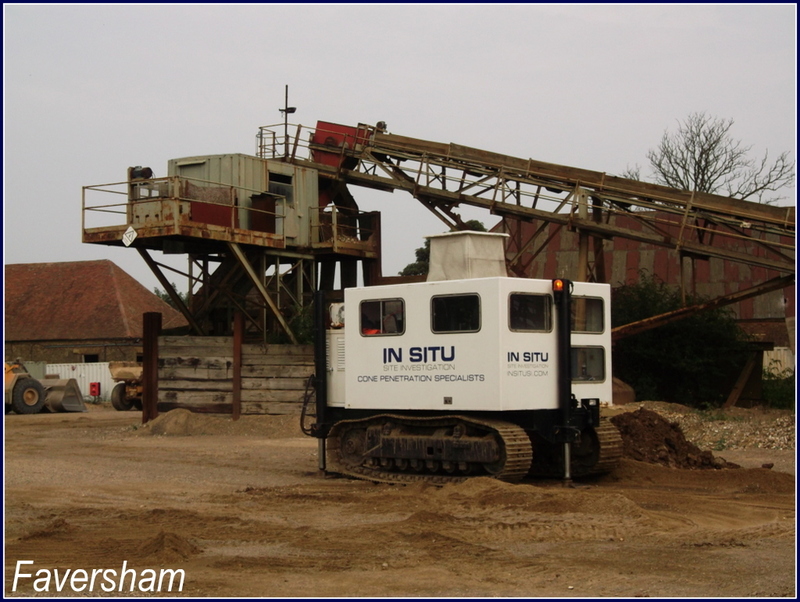 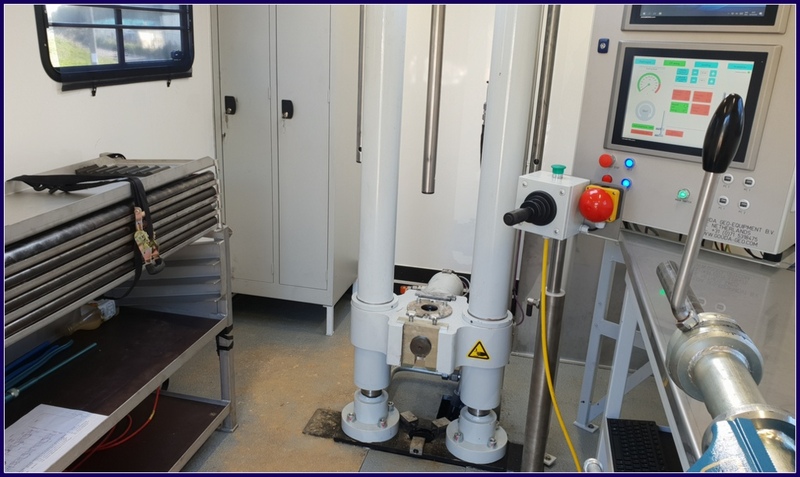 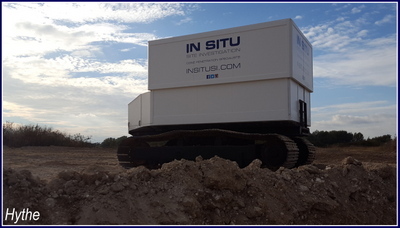 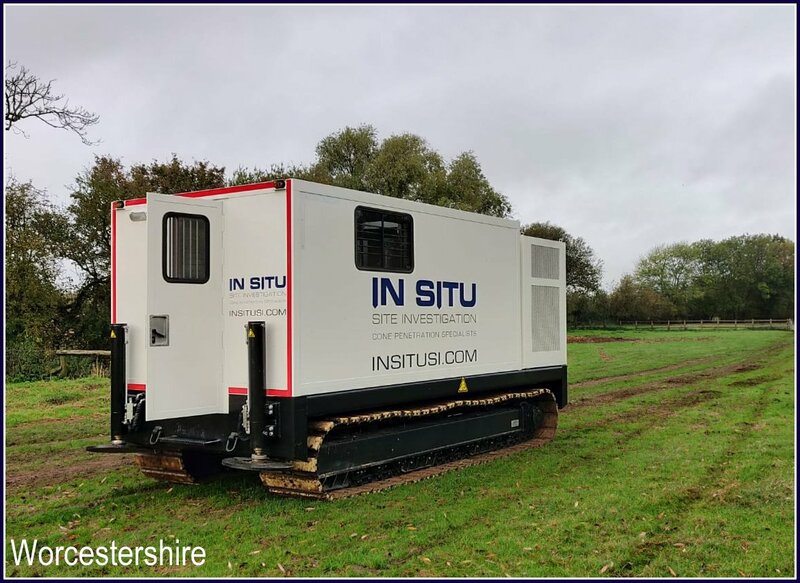 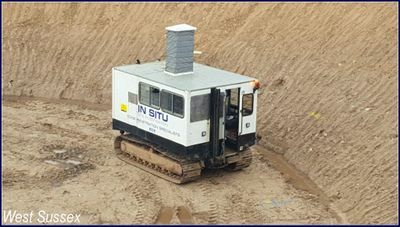 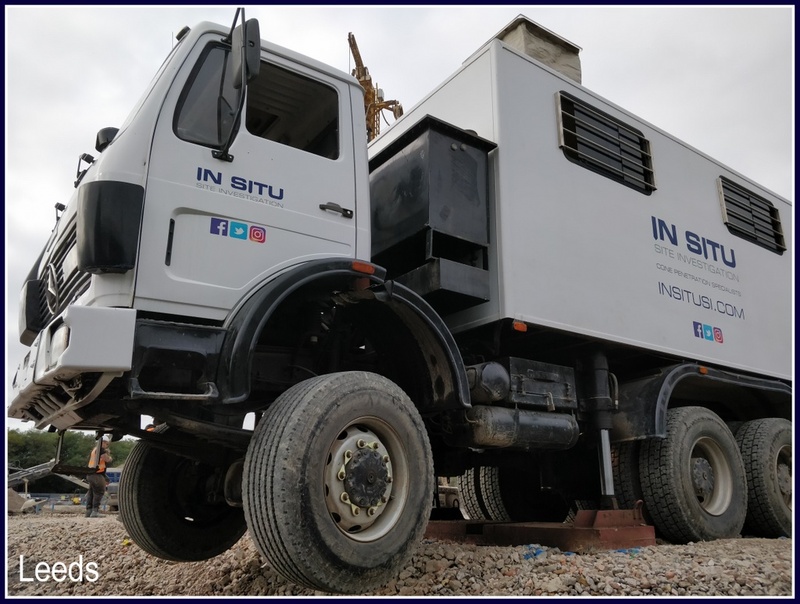 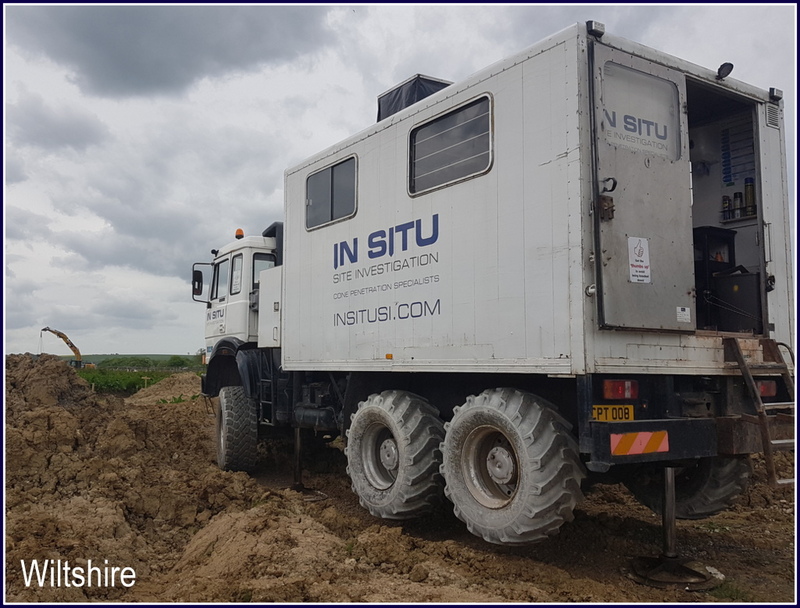 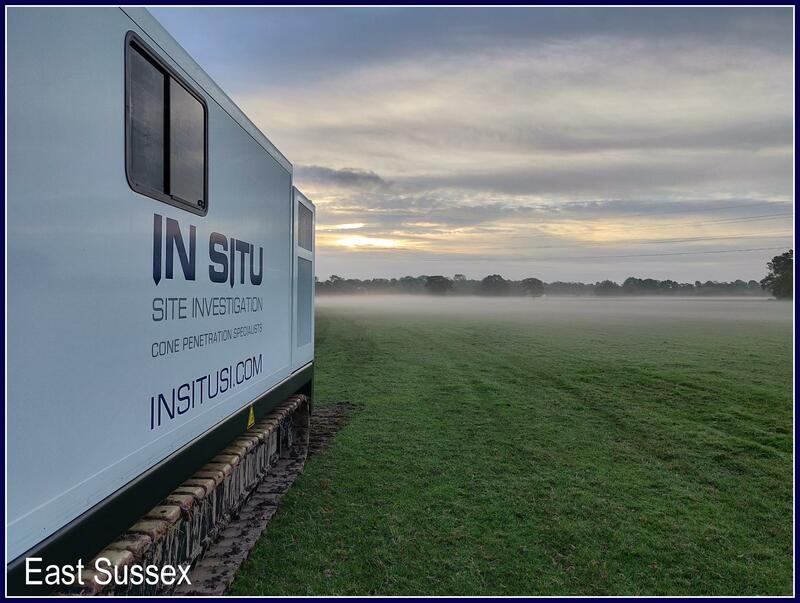 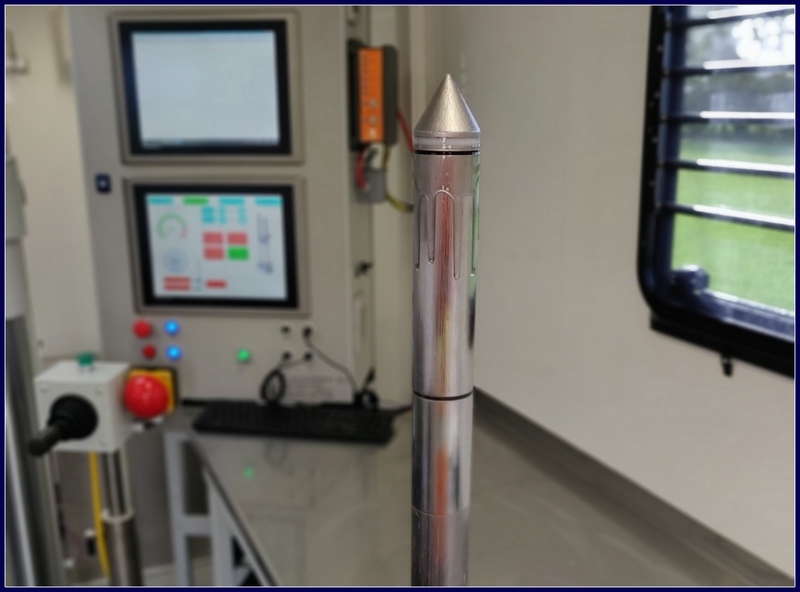 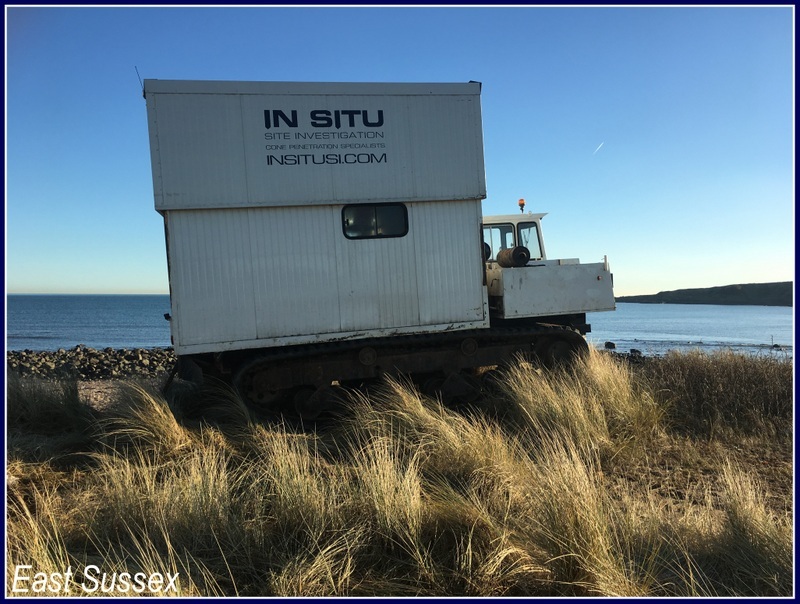 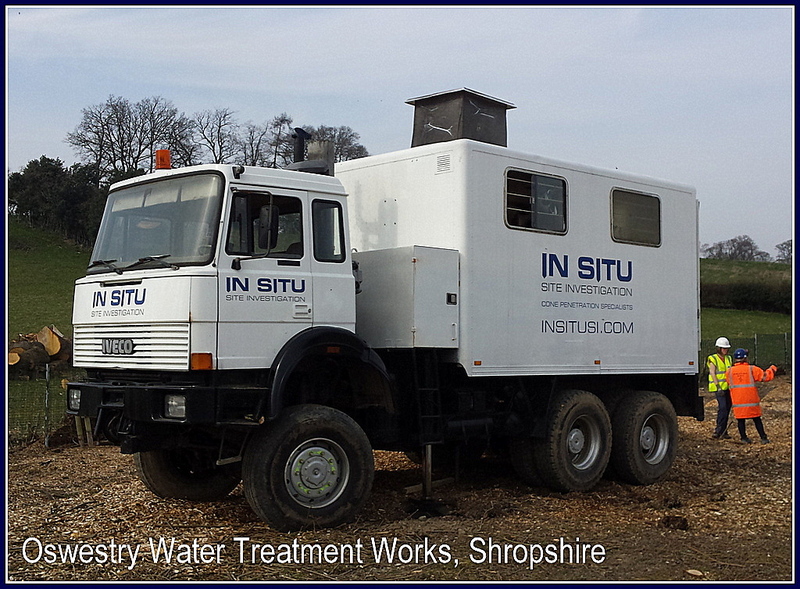 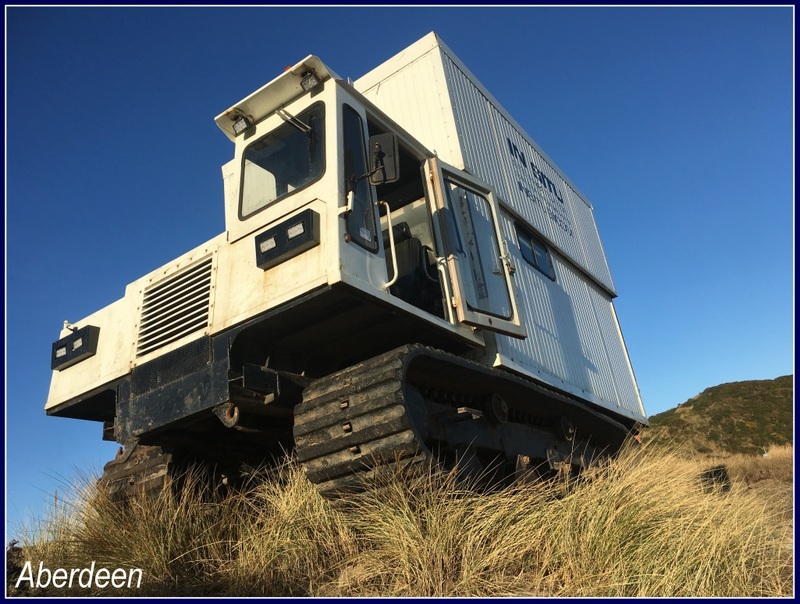 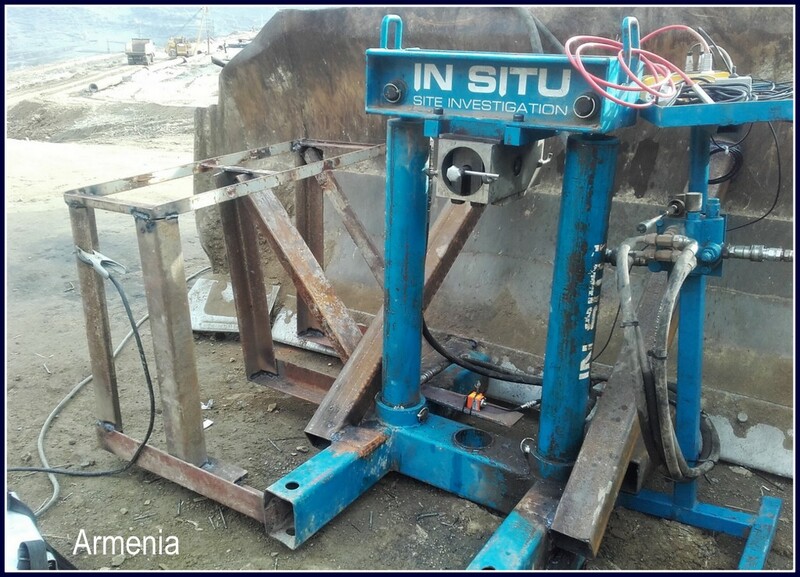 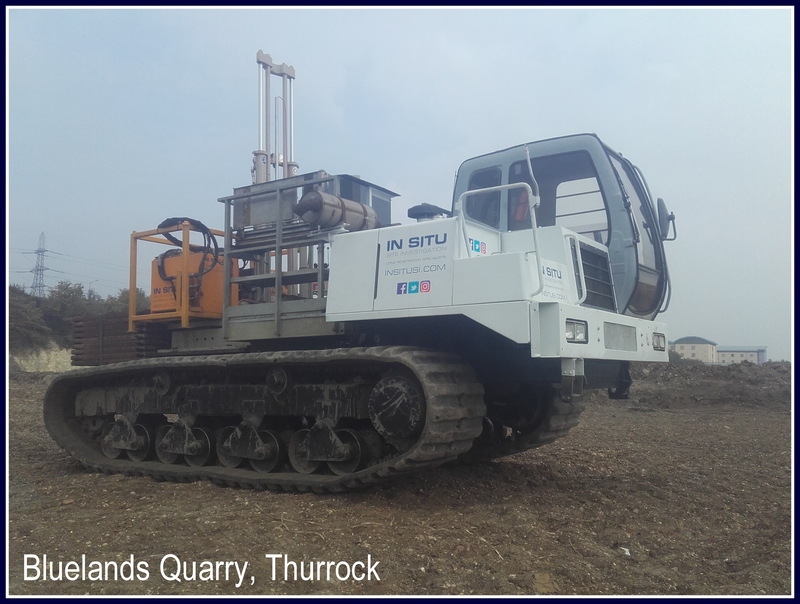 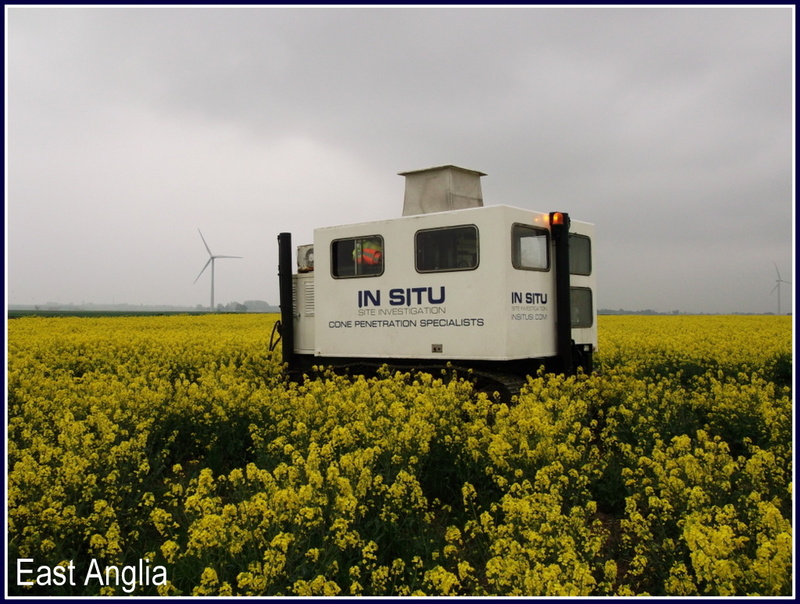 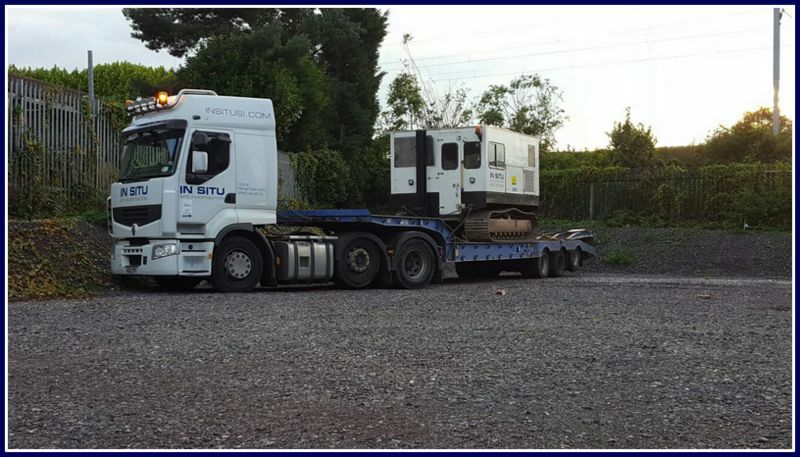 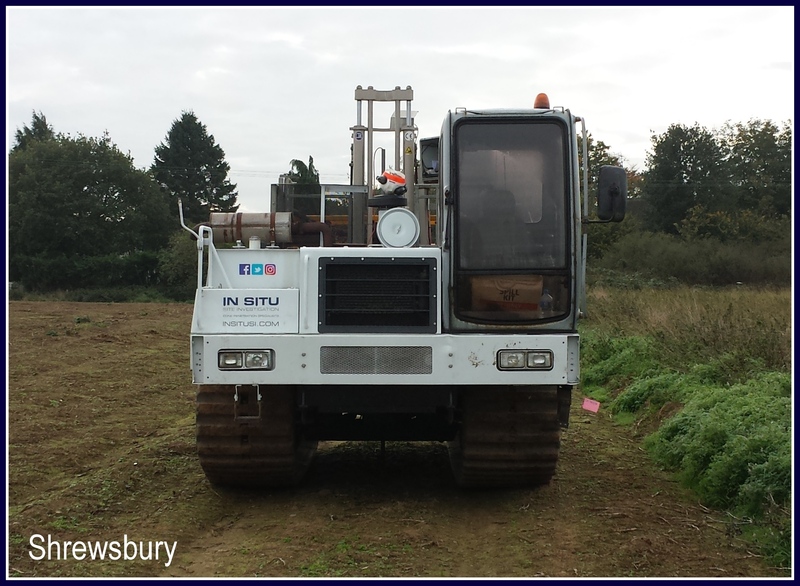 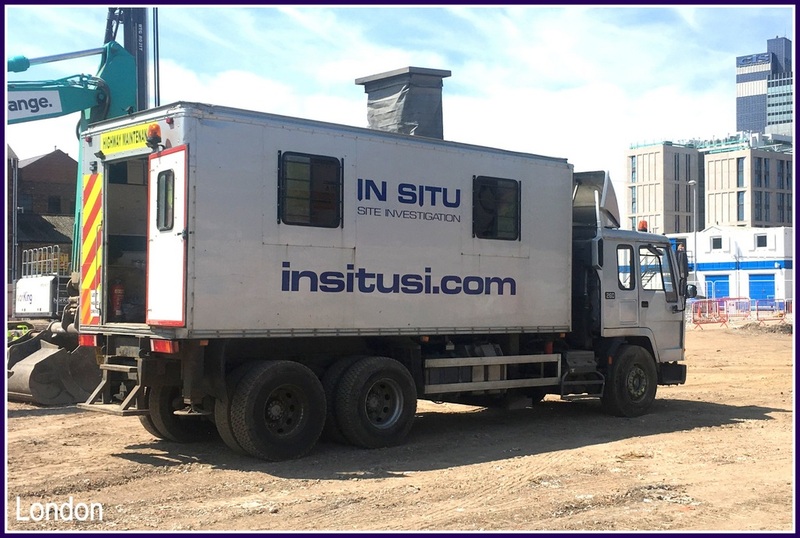 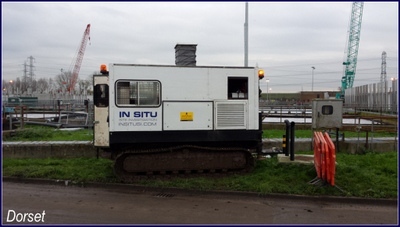 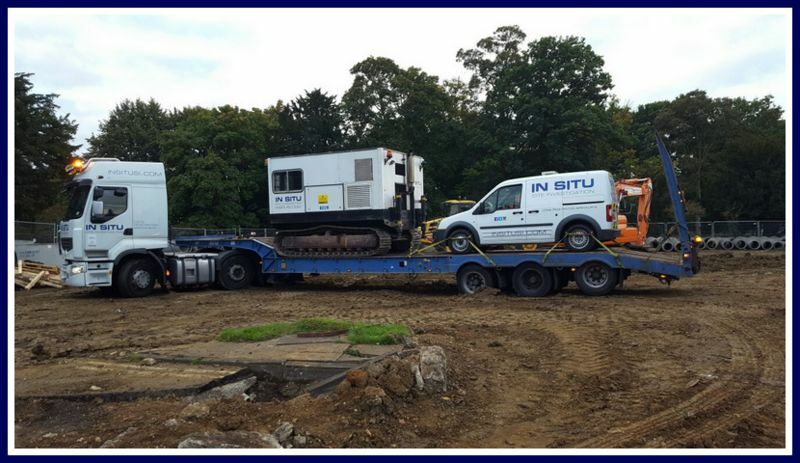 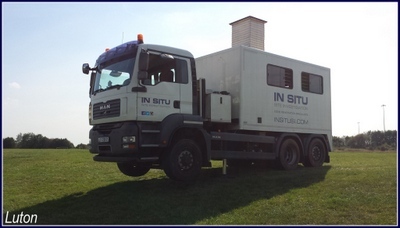 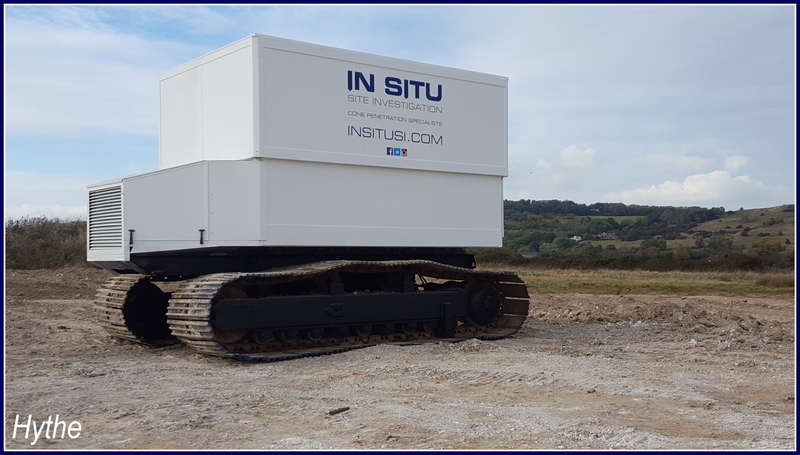 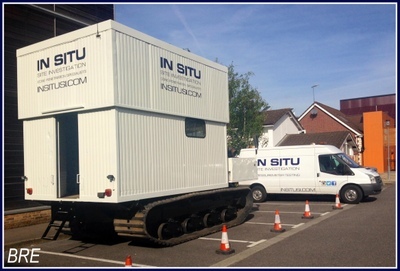 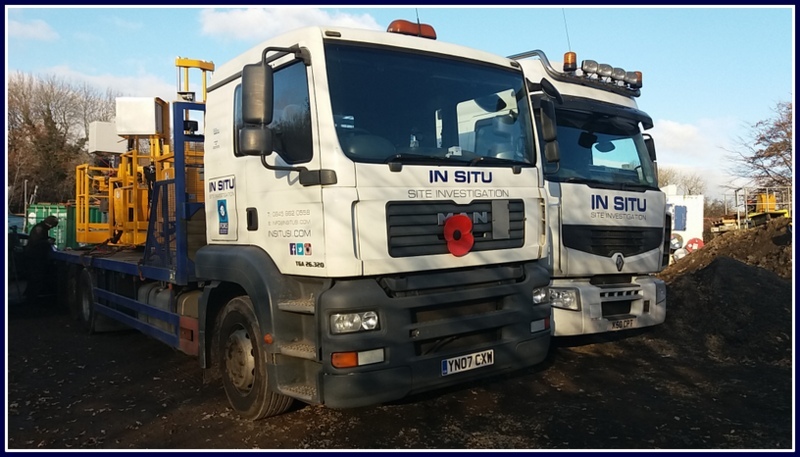 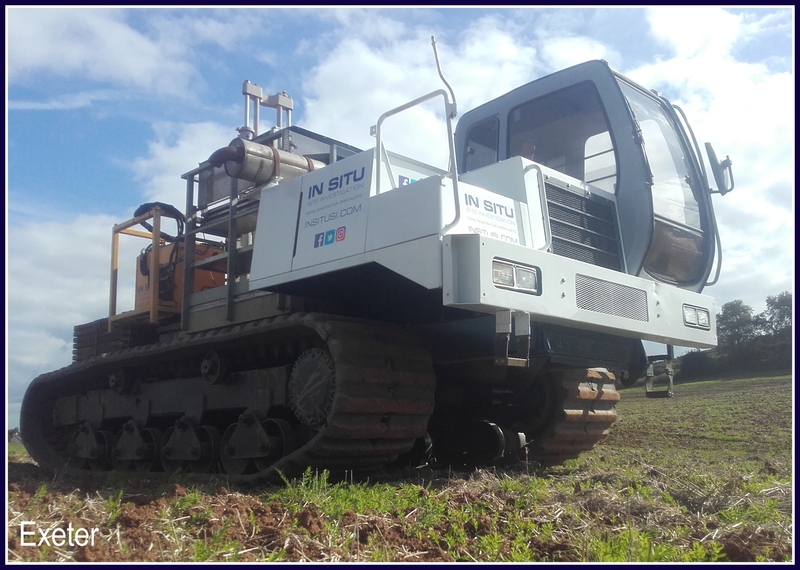 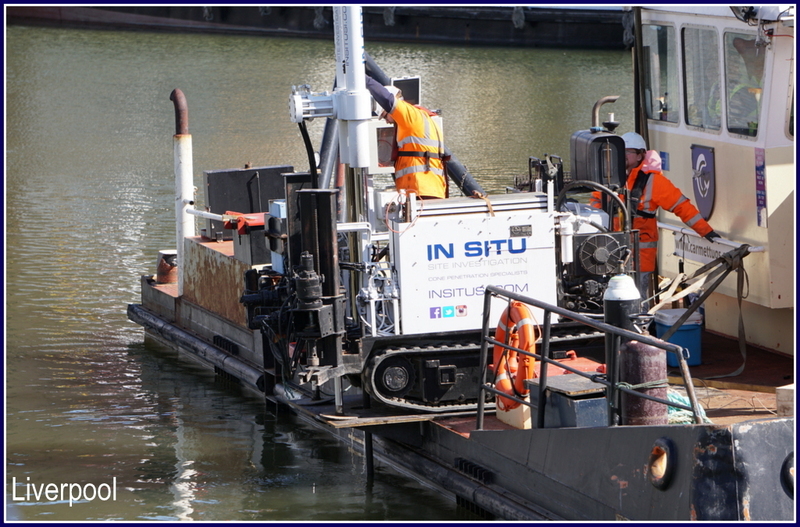 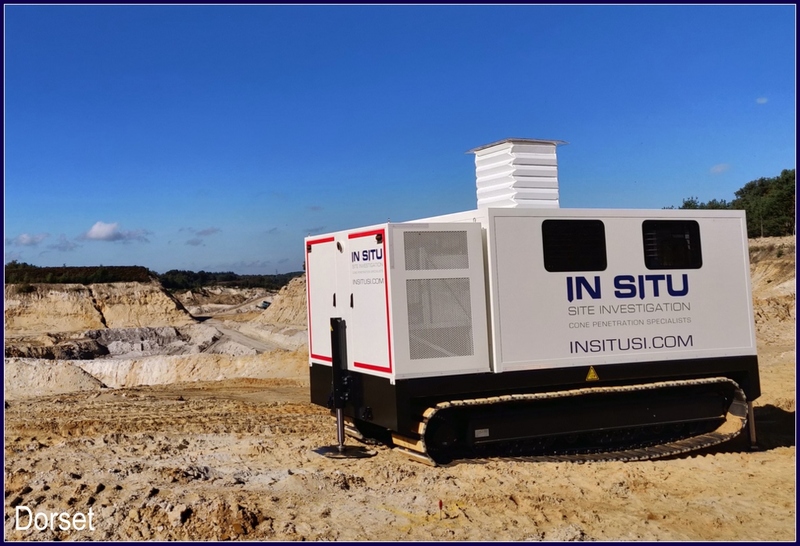 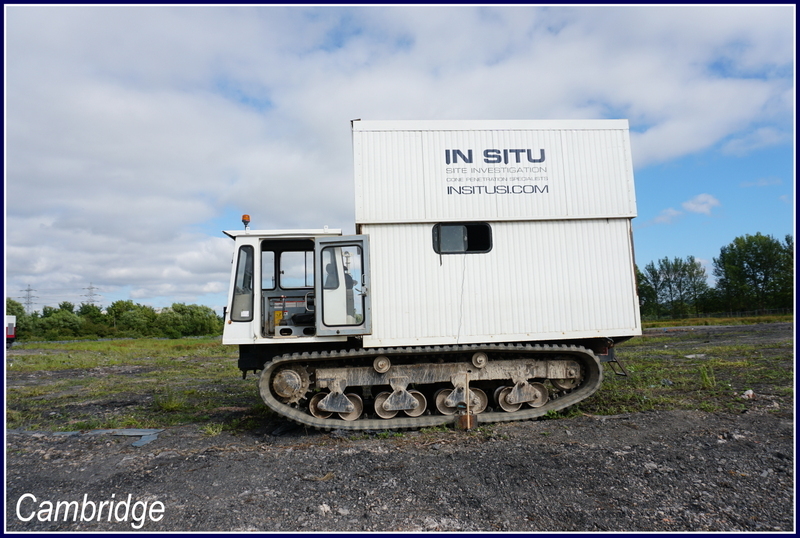 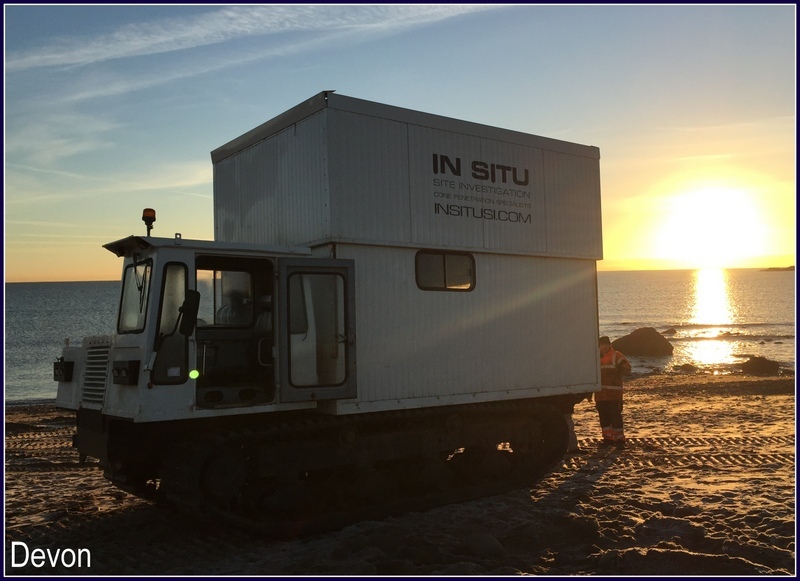 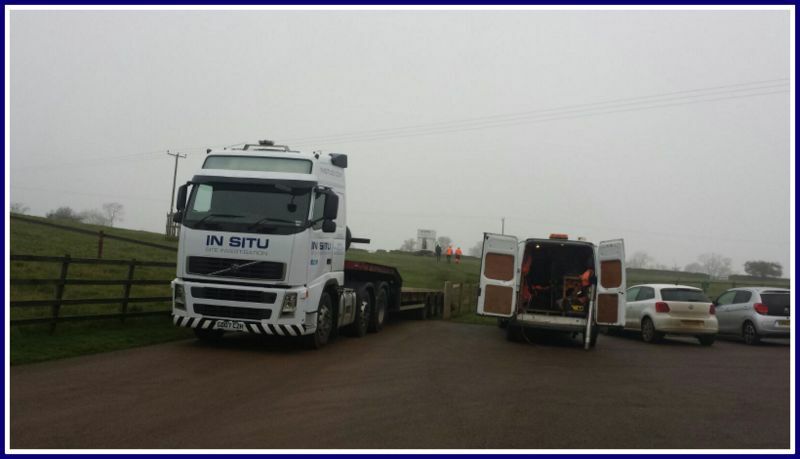 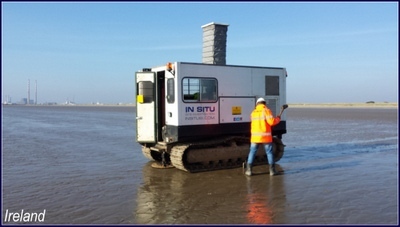 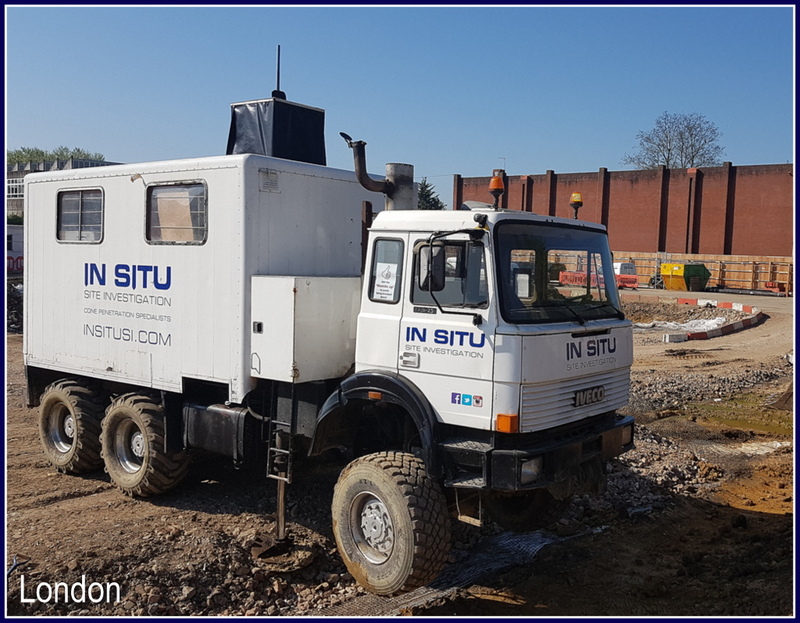 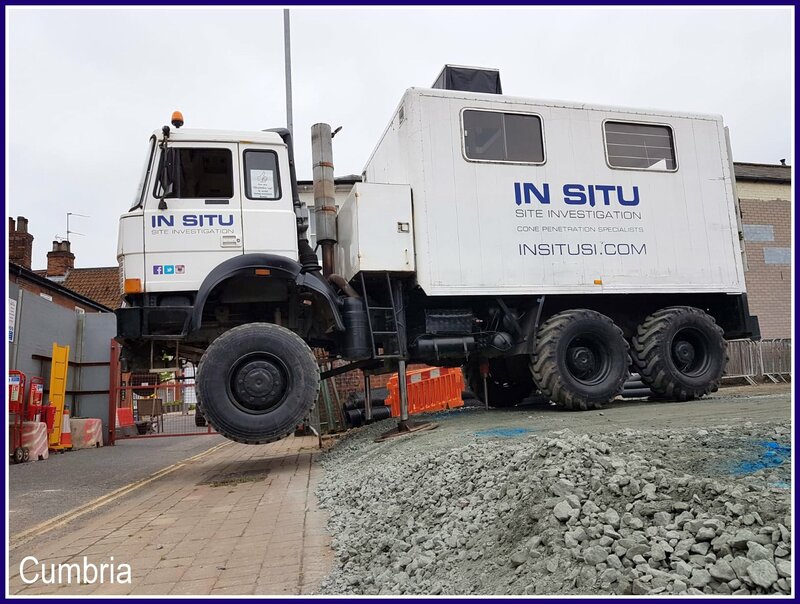 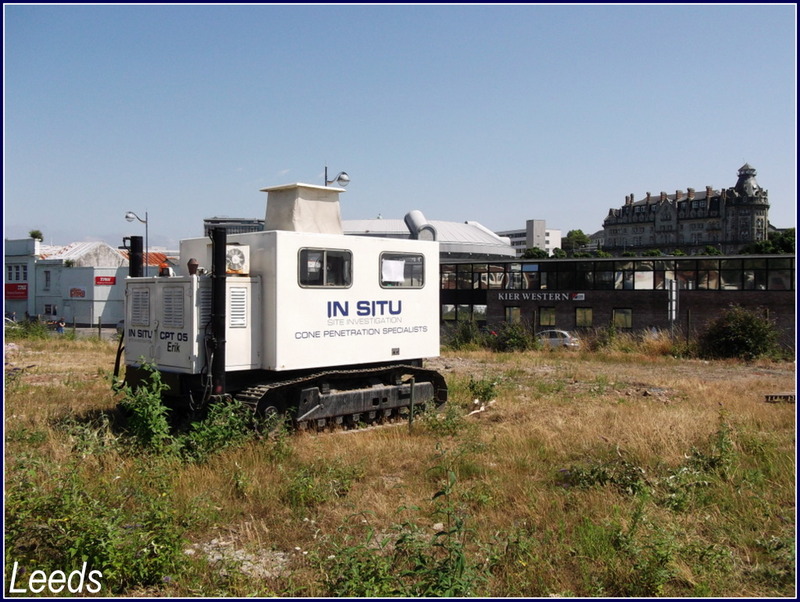 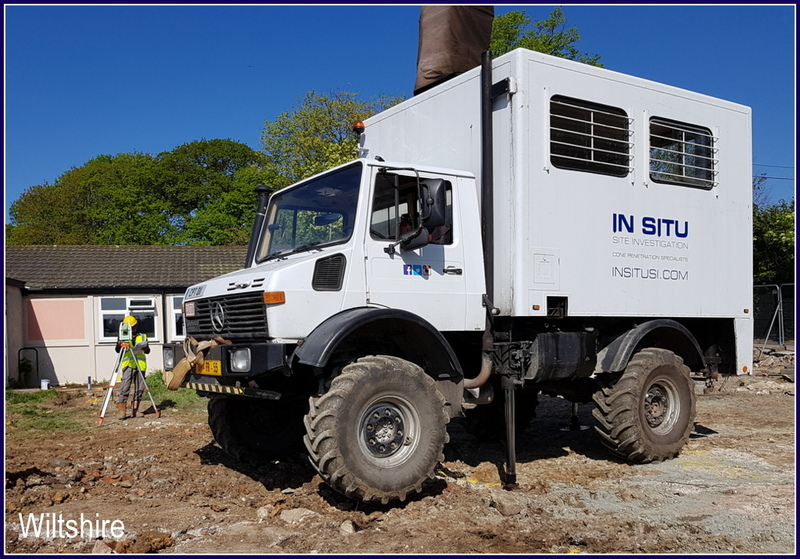 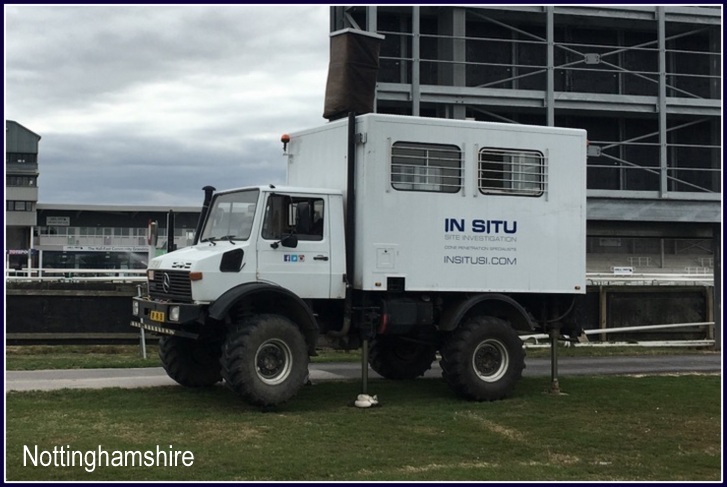 In Situ Site Investigation is able to provide a wide range of CPT rigs to meet our clients’ requirements and specifications. 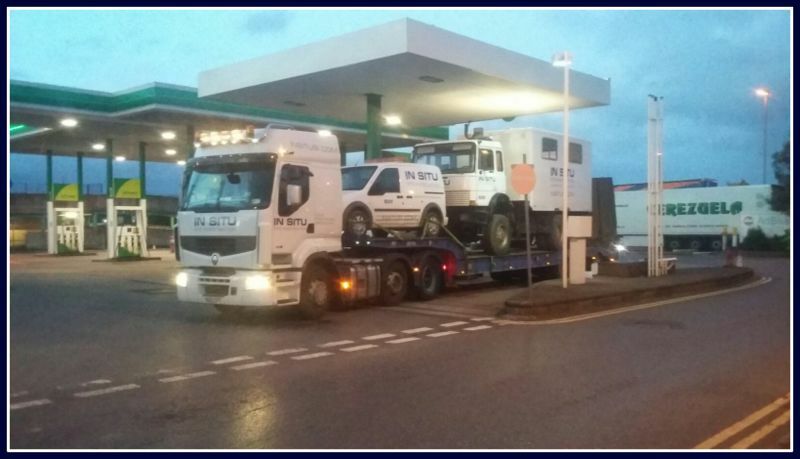 In addition to our rigs, we also have our own transport for moving our rigs around the country. 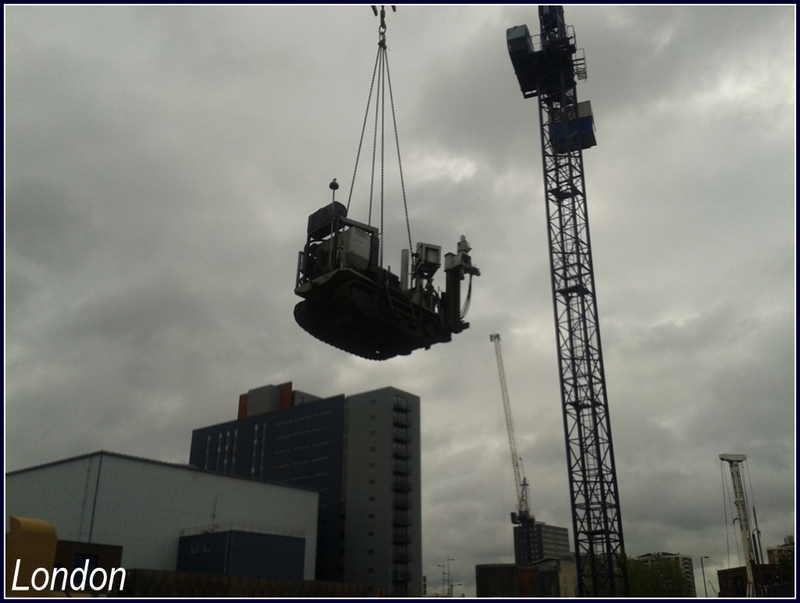 This enables us to have full control over our moves and better serve our clients. 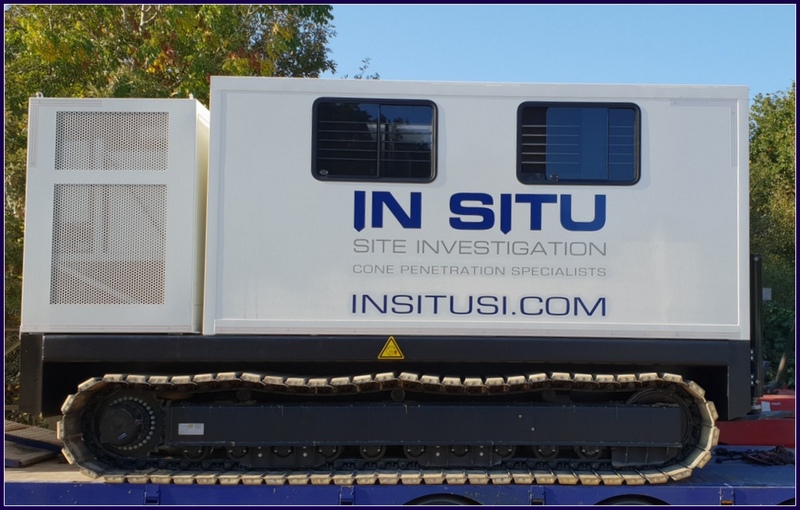 Maximum Penetration: 30-40m depending on the ground conditions. 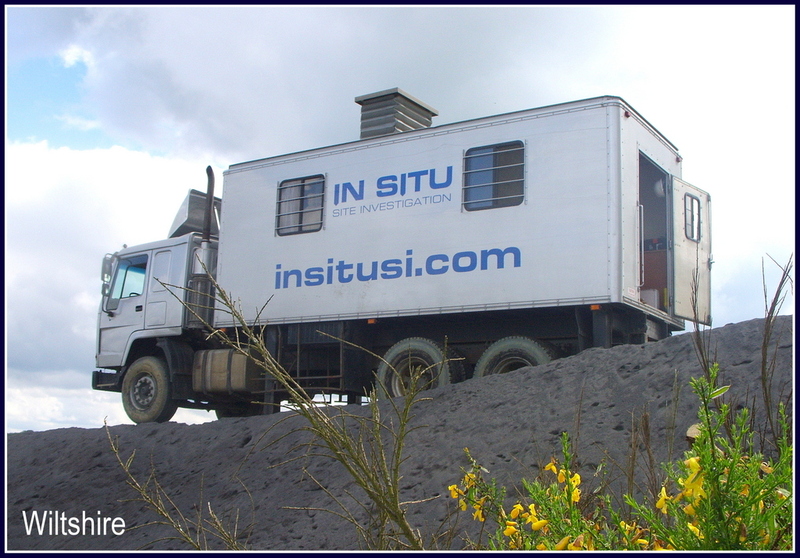 Performance Rates: 100-150m of testing a day, depending on access to positions. 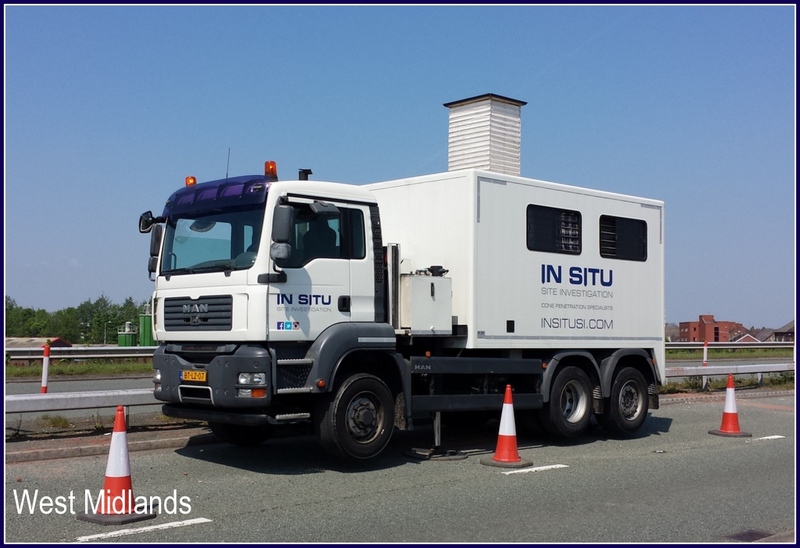 Typical sites for this rig: Hardstanding sites (roads, carparks etc). 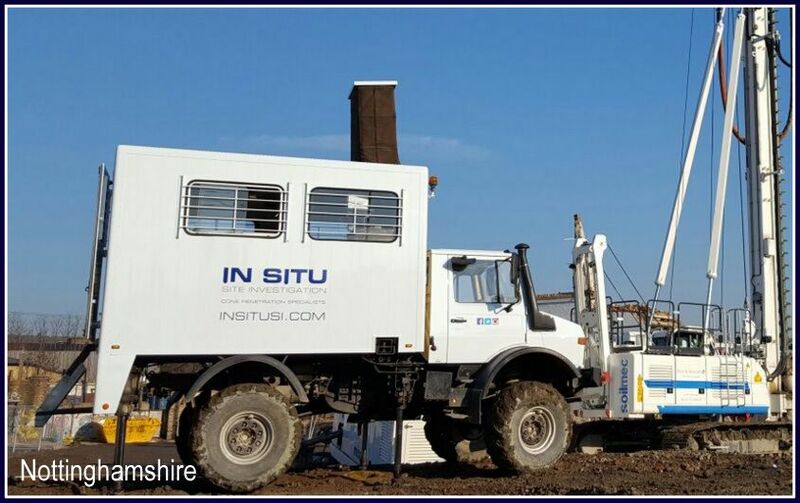 Dry non hardstanding sites. 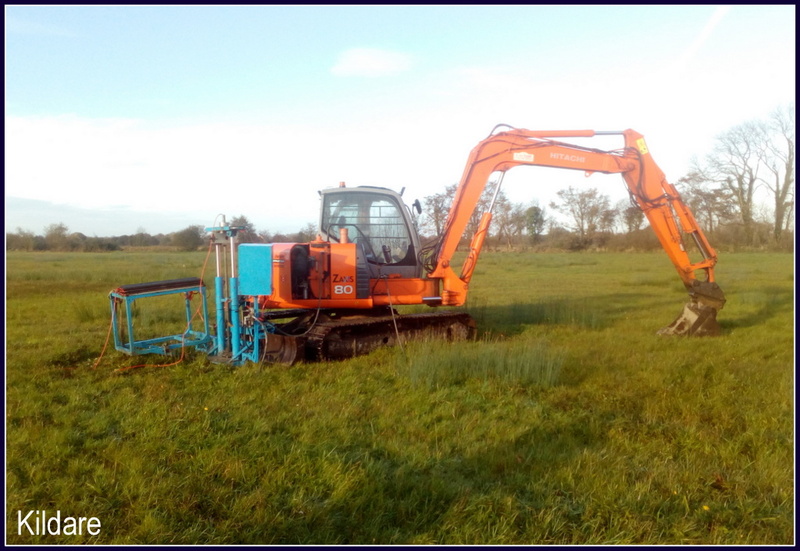 Maximum Penetration: 20-30m depending on the ground conditions. 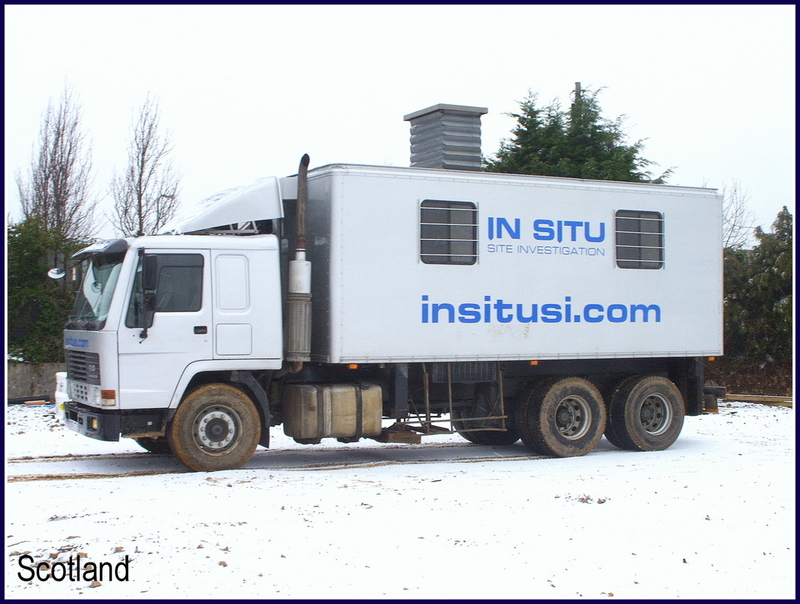 Performance Rates: 120m of testing a day, depending on access to positions. 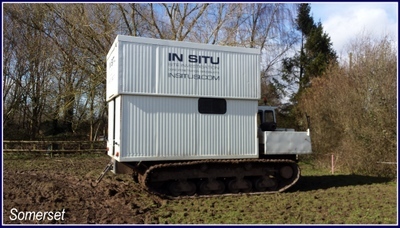 Typical sites for this rig: Soft boggy sites. 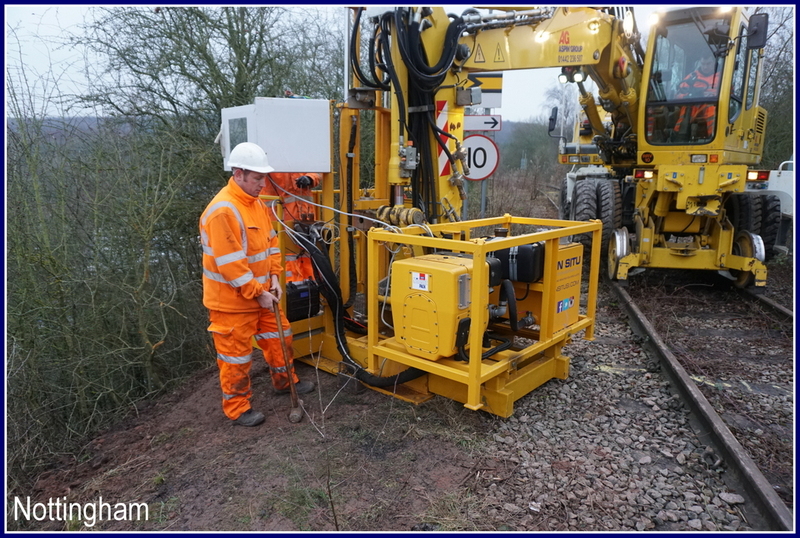 This rig has very low ground bearing pressure due to the width of the tracks. 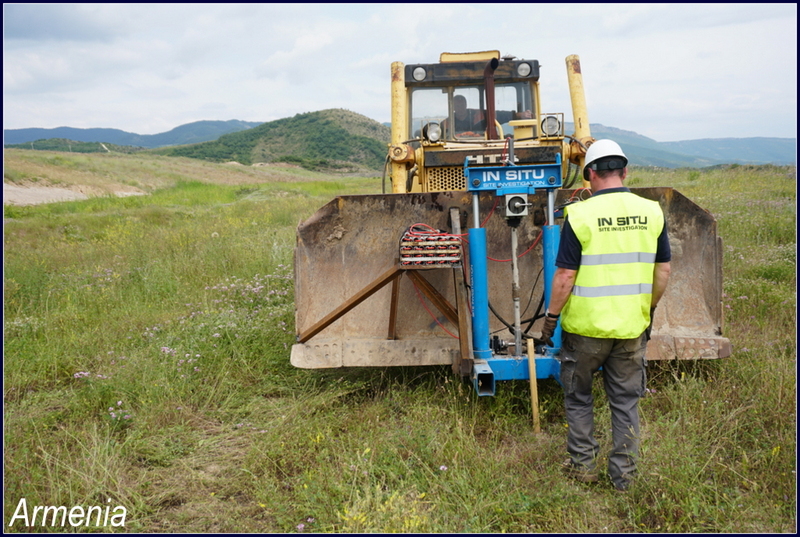 Maximum Penetration: 10-30m depending on the ground conditions and reaction from the screw anchors. 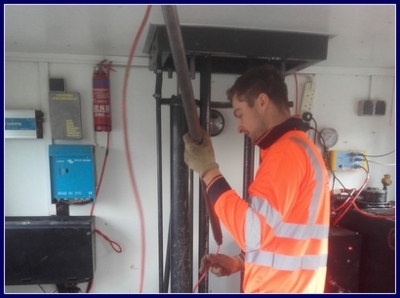 Performance Rates: 50-100m of testing a day depending on access to positions. 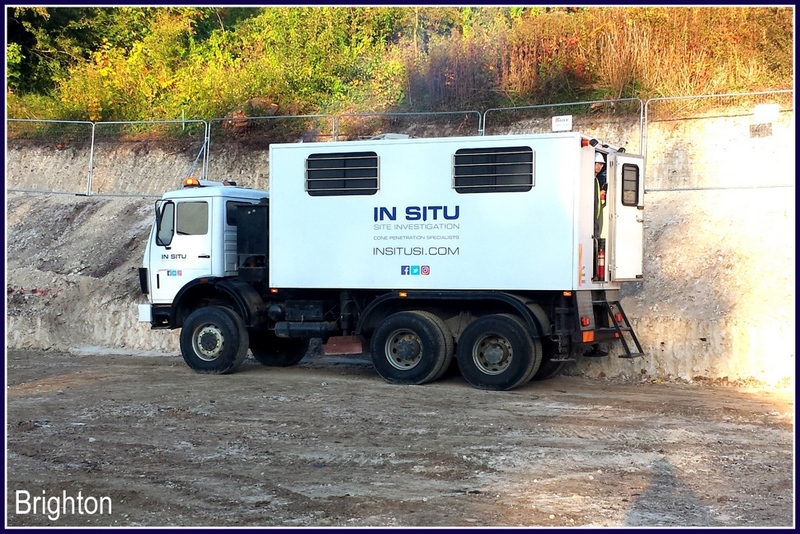 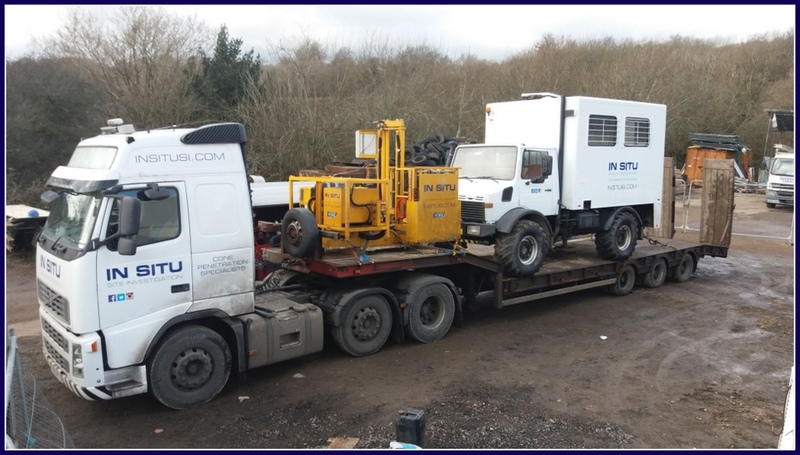 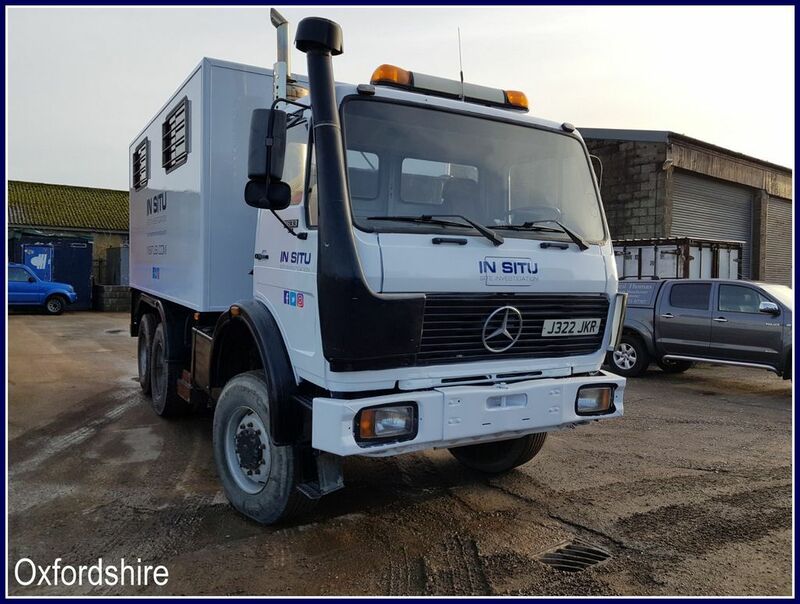 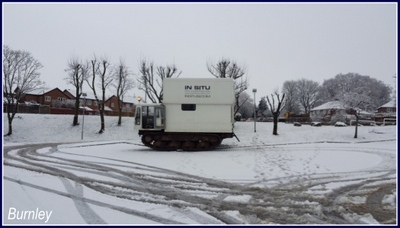 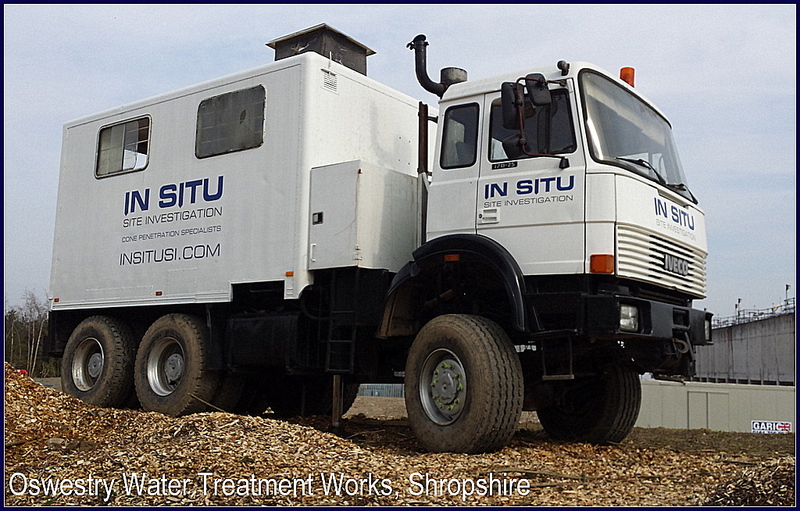 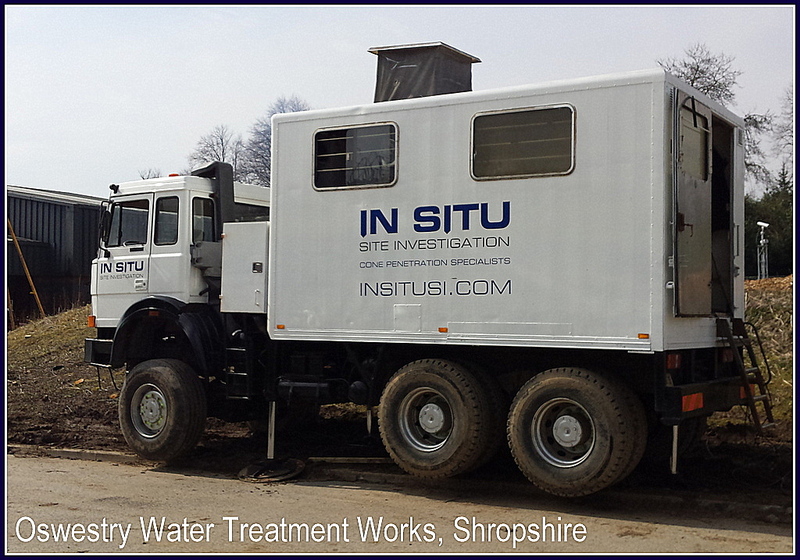 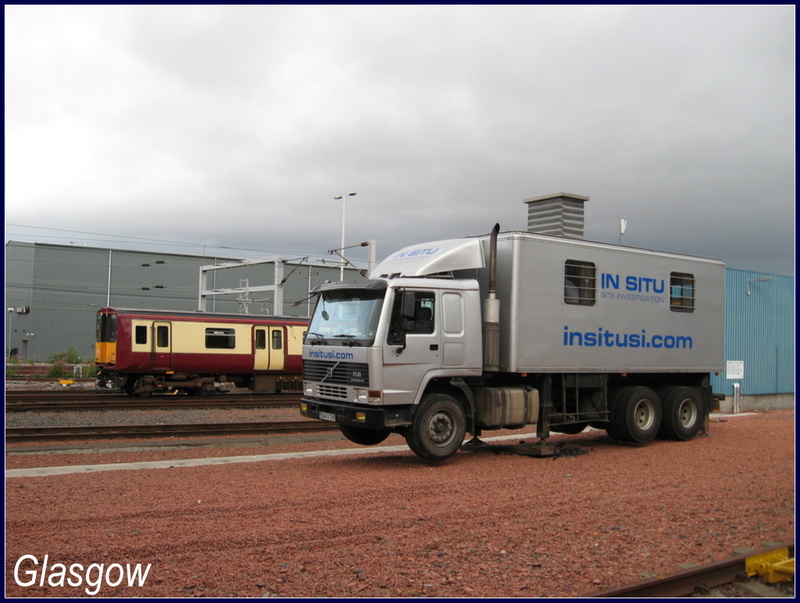 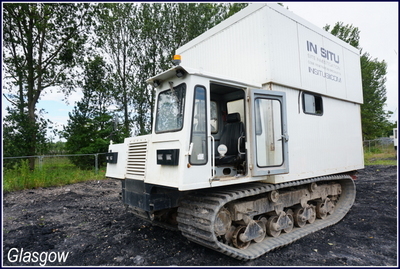 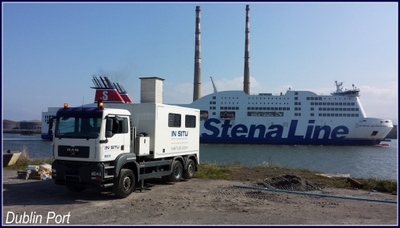 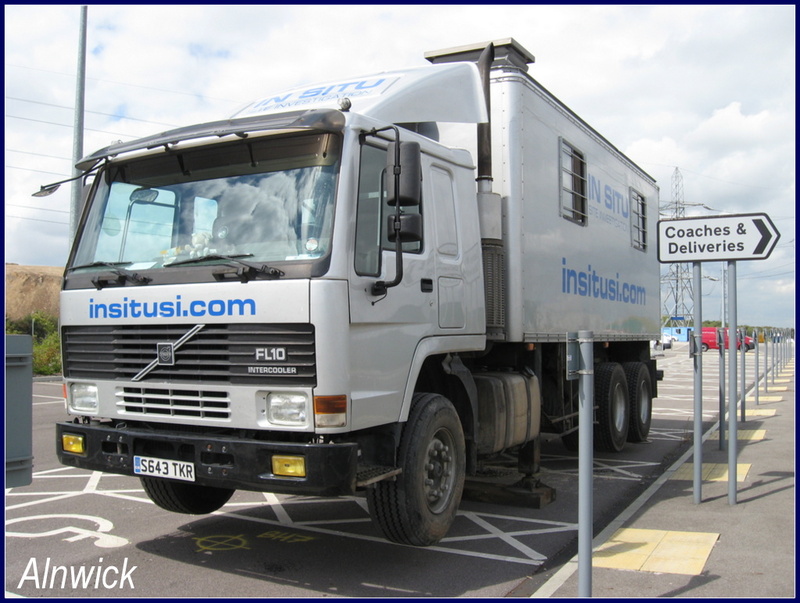 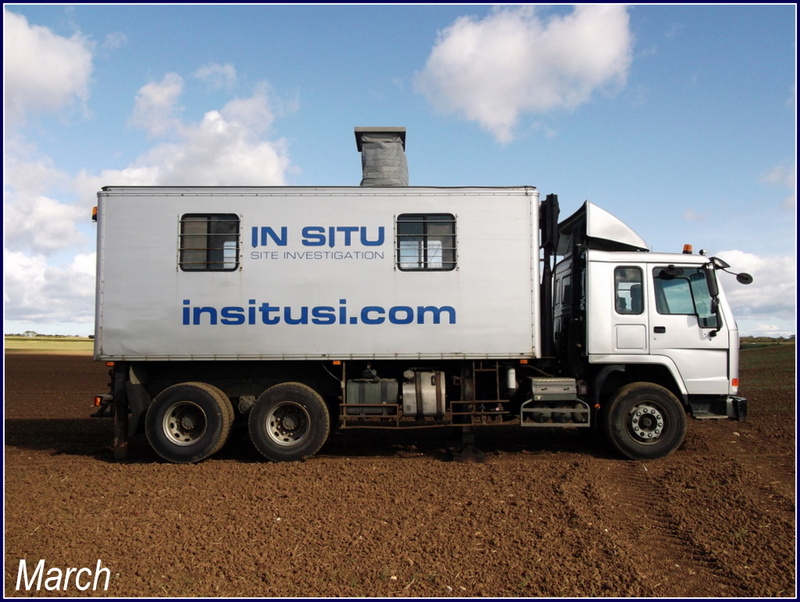 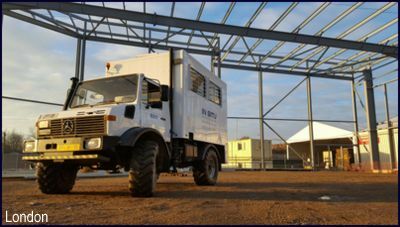 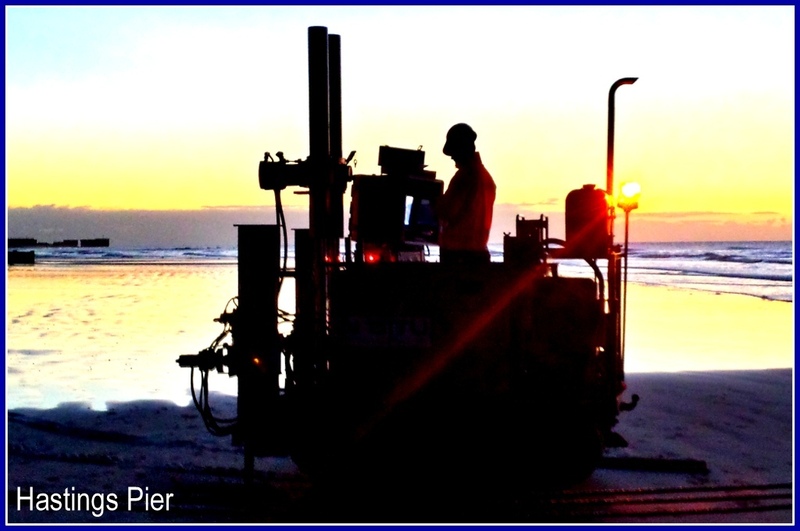 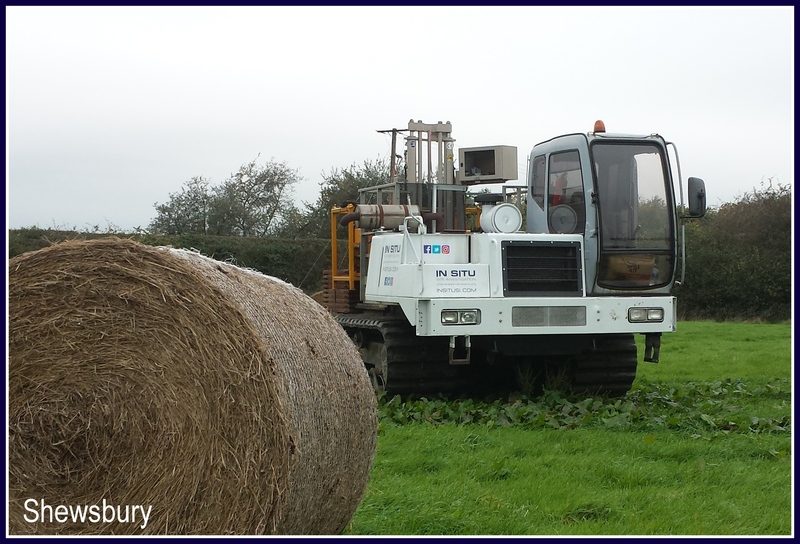 Typical sites for this rig: Specialises in soft ground sites. 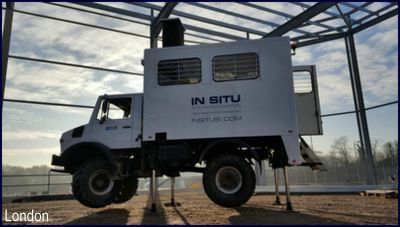 Can be mounted on marine jackups and rail trailers. 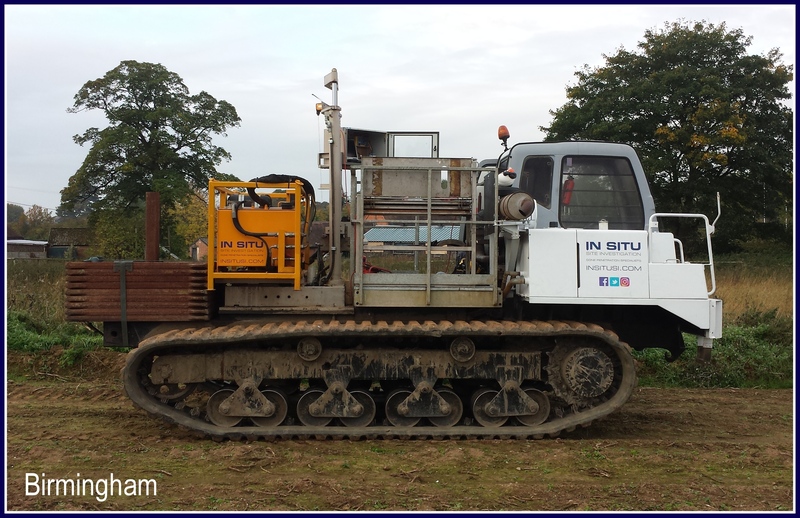 Drive System: Can be mounted onto any sized excavator depending on requirements of job. 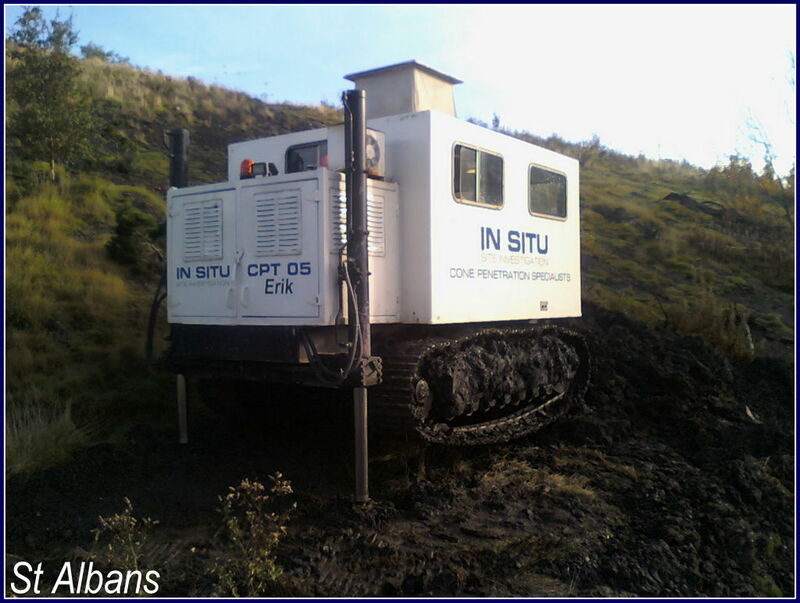 Maximum Penetration: 10 – 30m depending on the ground conditions and reaction from excavator. 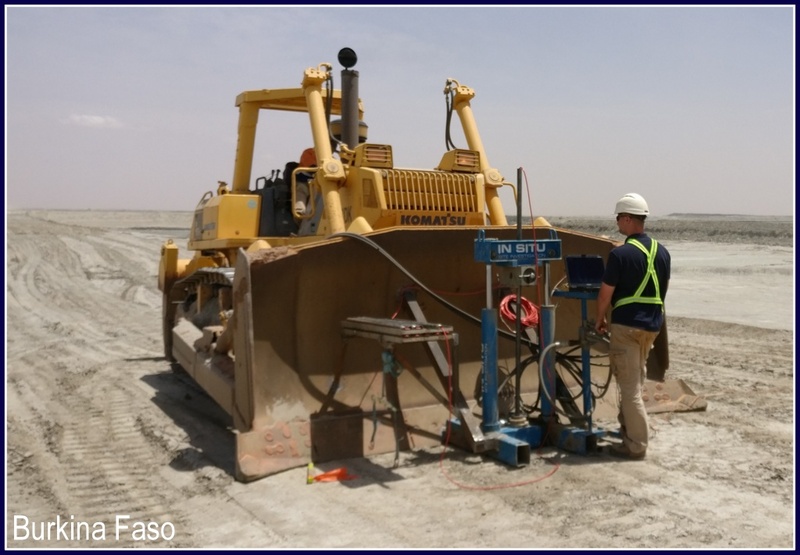 Performance Rates: 50 -100m of testing a day, depending on access to positions. 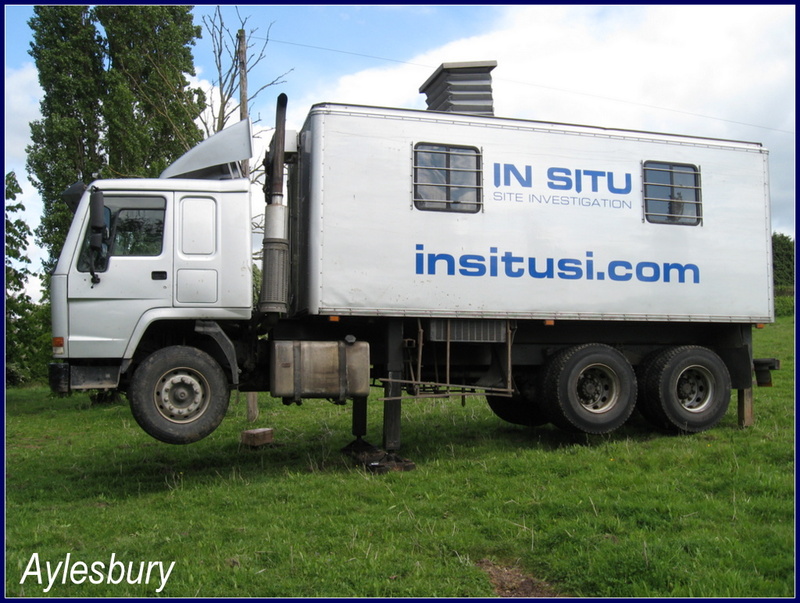 Typical sites for this rig: Specialises in soft ground sites. 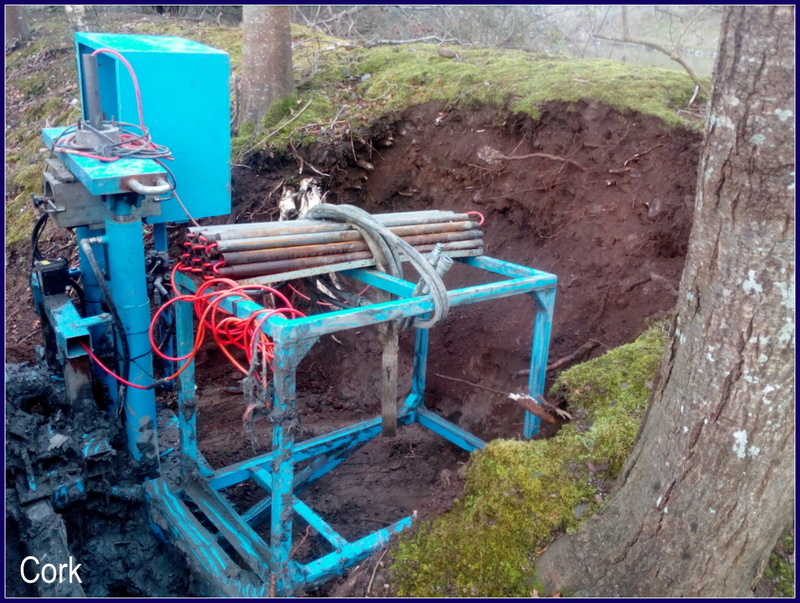 Typical sites for this rig: Soft, boggy sites. 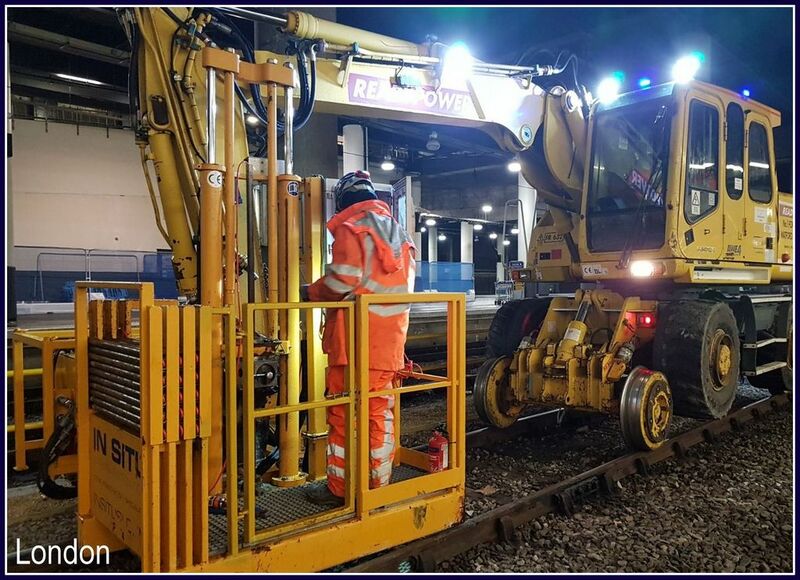 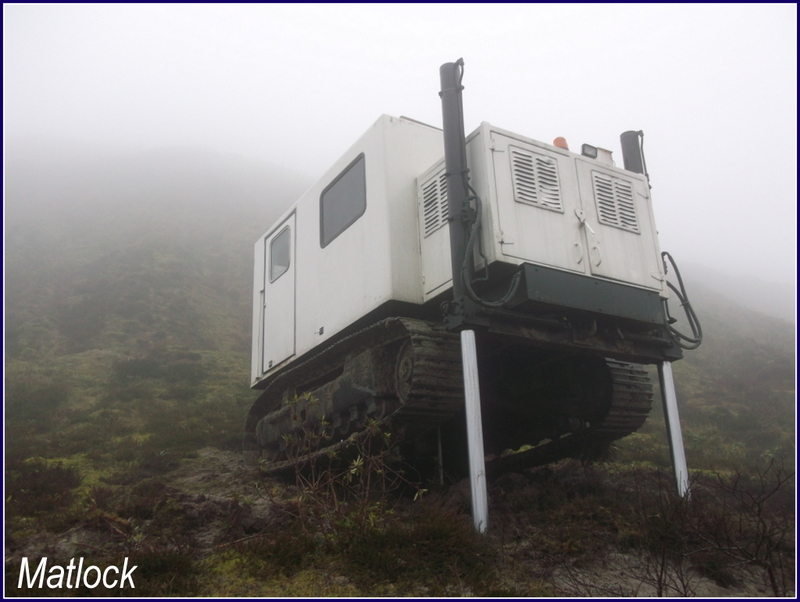 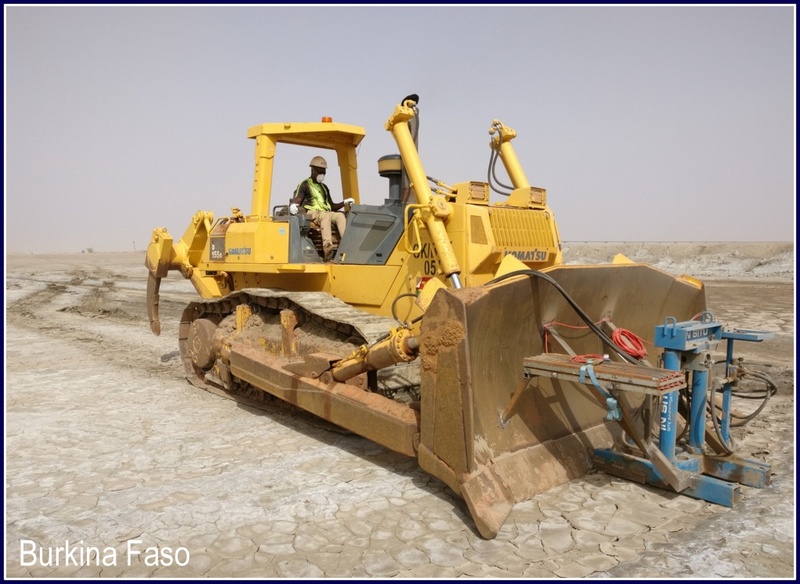 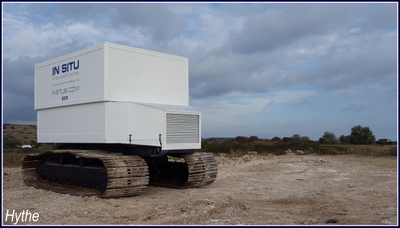 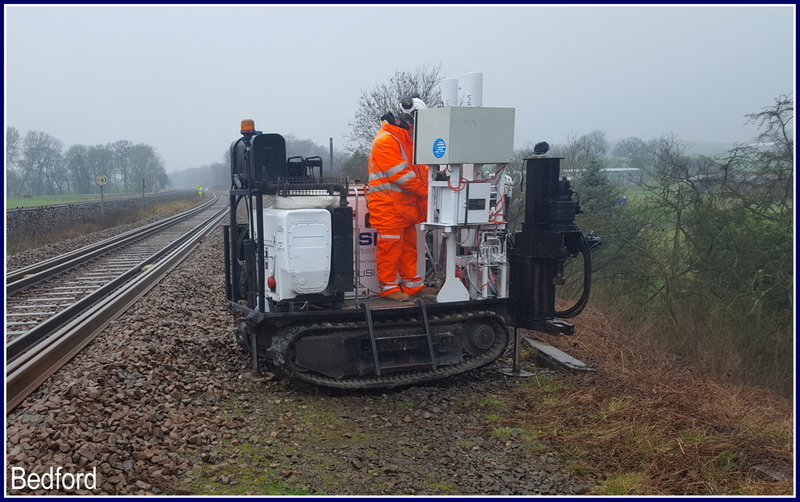 This rig has low ground bearing pressure due to the width of the tracks, a self-elevating roof and rubber tracks for work on hardstanding surfaces. 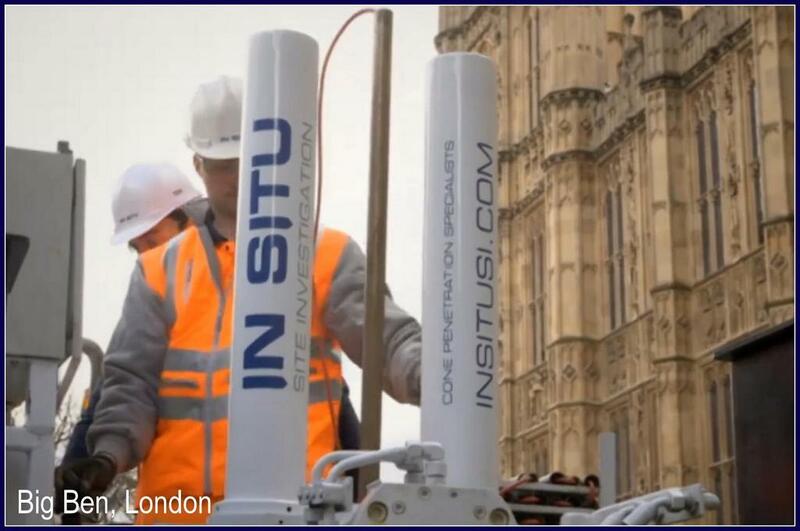 Performance Rates: 100-150m of testing in a day depending on access to positions. 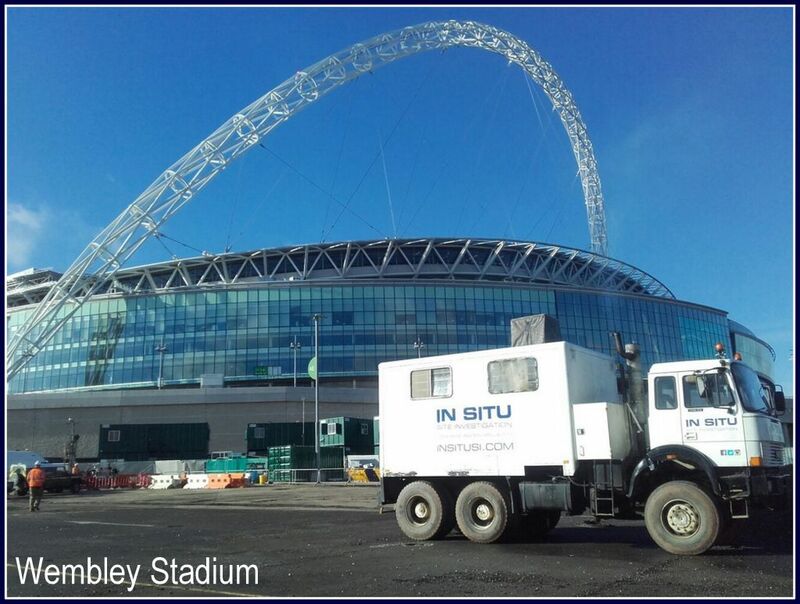 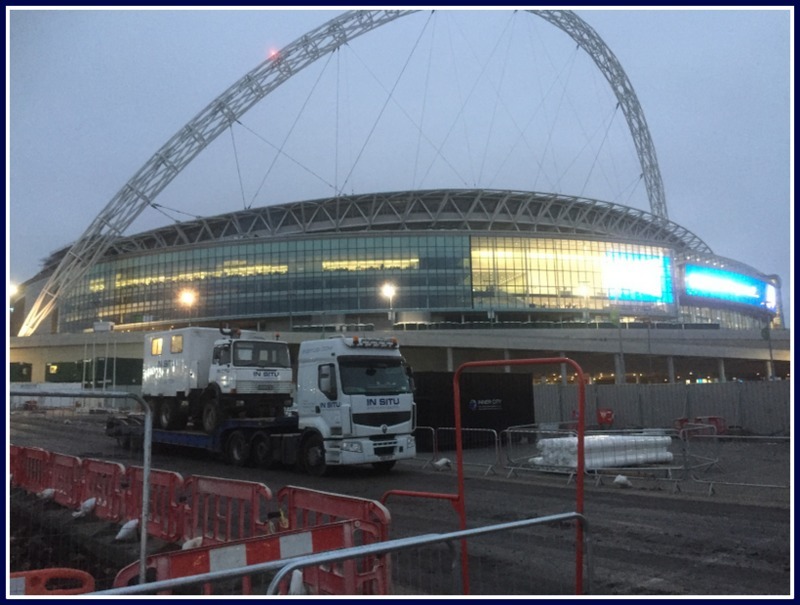 Typical sites for this rig: Hardstanding sites (roads, car parks etc). 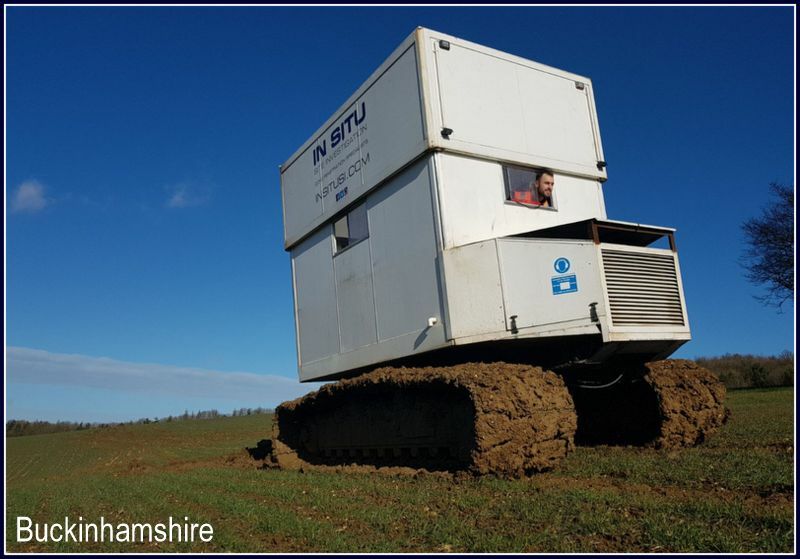 Dry non hardstanding sites and off road terrain. 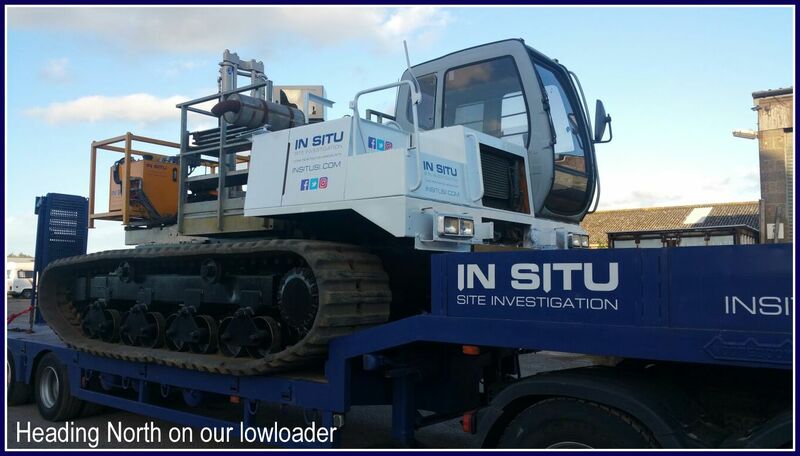 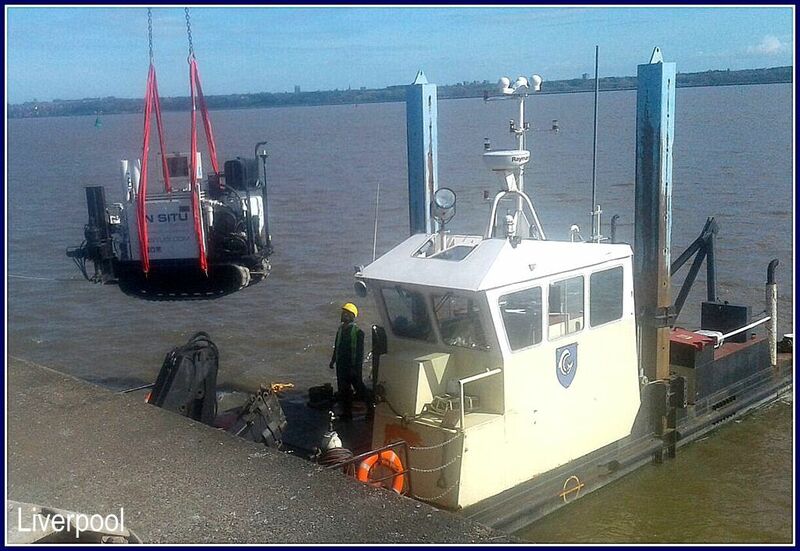 Total Weight: 2.5 Tonnes plus reaction force from excavator arm. 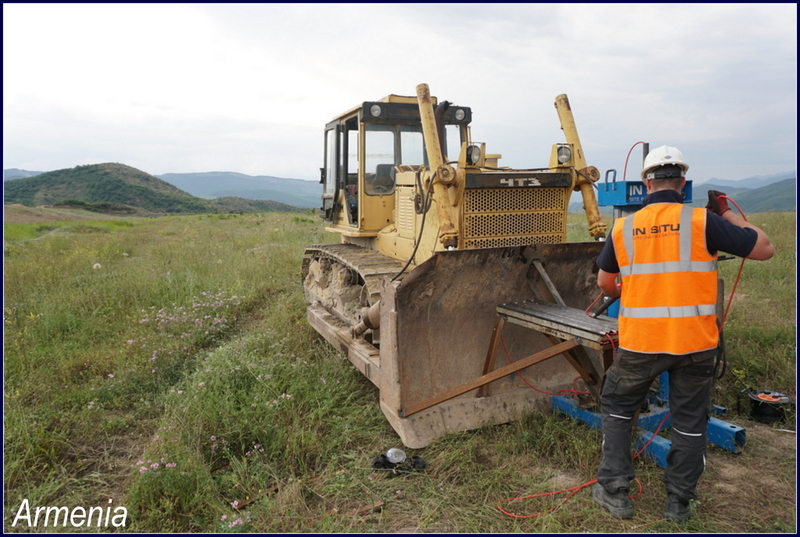 Maximum Penetration: 20-30m depending on the ground conditions and reaction weight. 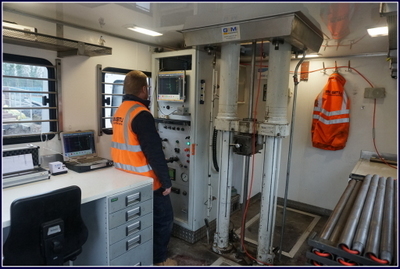 Performance Rates: 50 – 100m of testing a day, depending on access to positions. 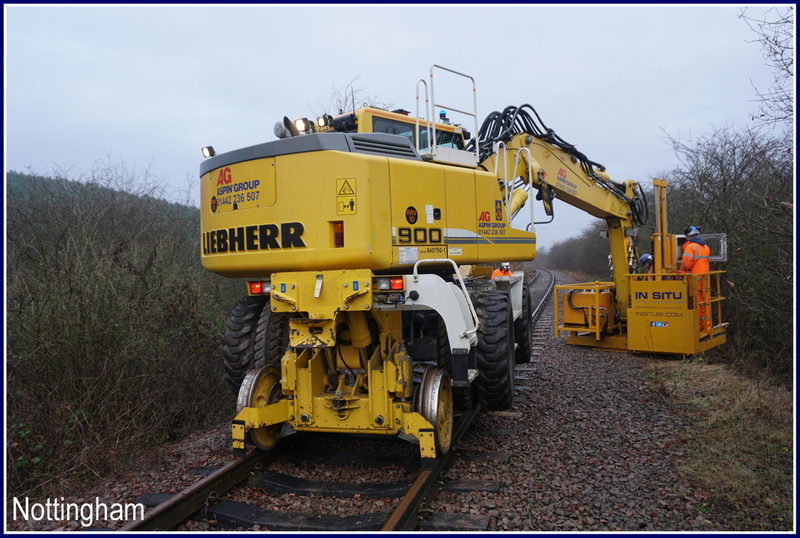 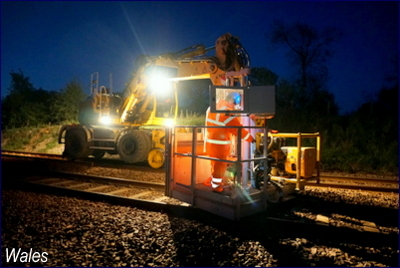 Typical sites for this rig: Rail Work, areas with difficult access e.g. 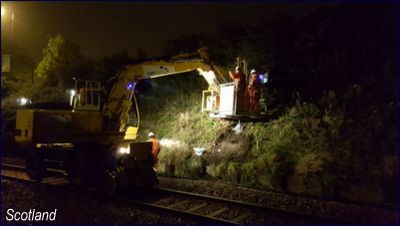 embankments and cuttings. 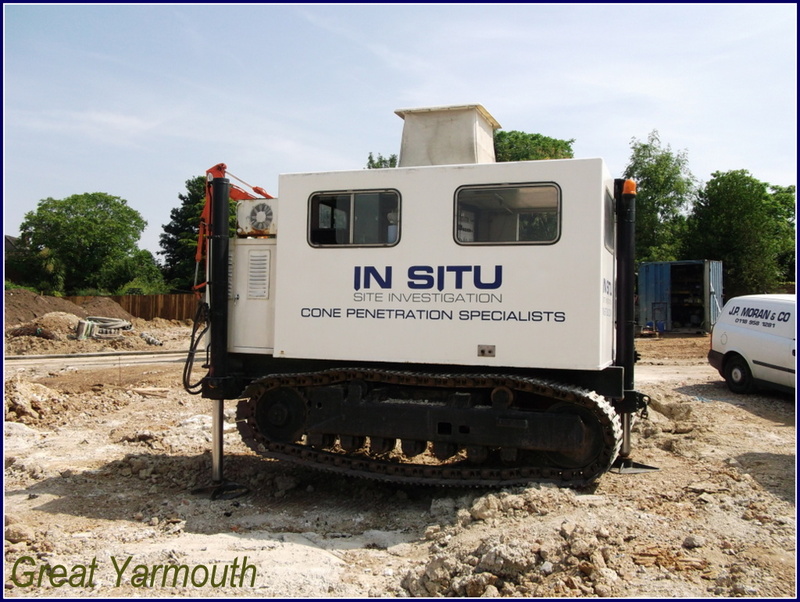 Maximum Penetration: 25-30m depending on the ground conditions. 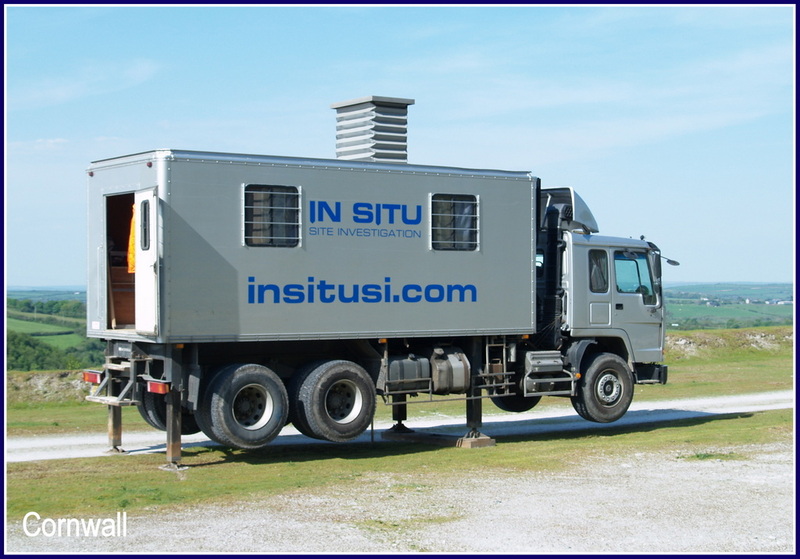 Typical sites for this rig: Hardstanding sites (roads, carparks etc). 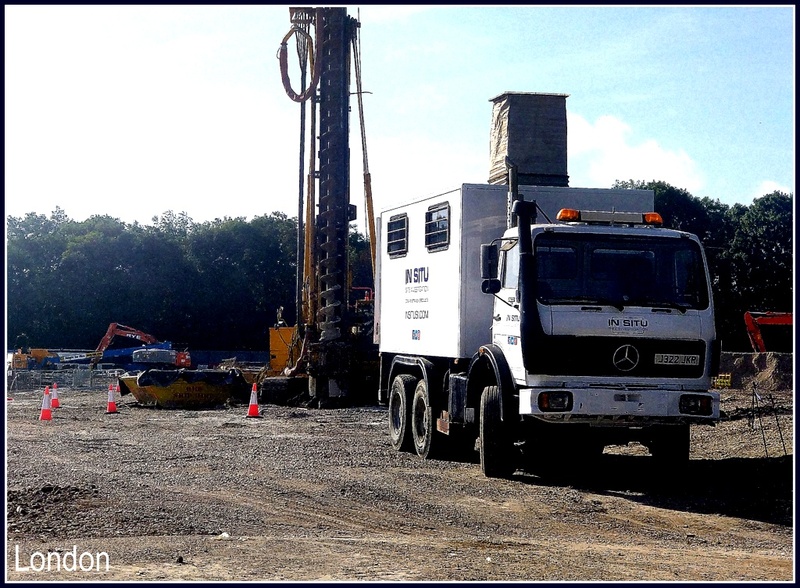 Dry non hardstanding sites. 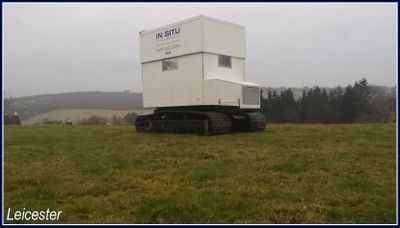 Medium/ soft ground. 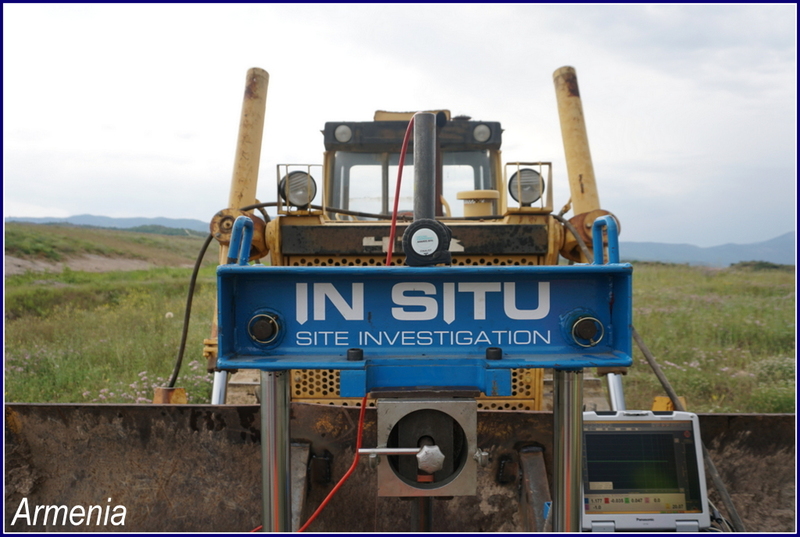 Typical sites for this rig: Soft, boggy sites. 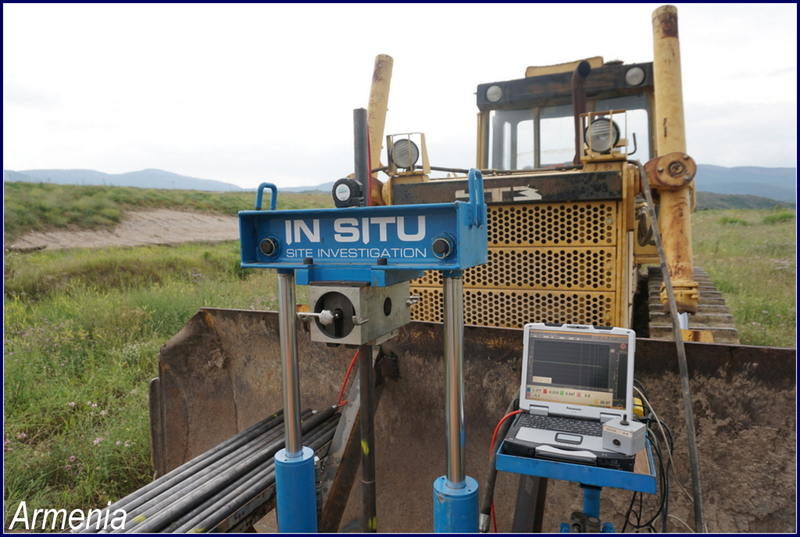 The rig has low ground bearing pressure. 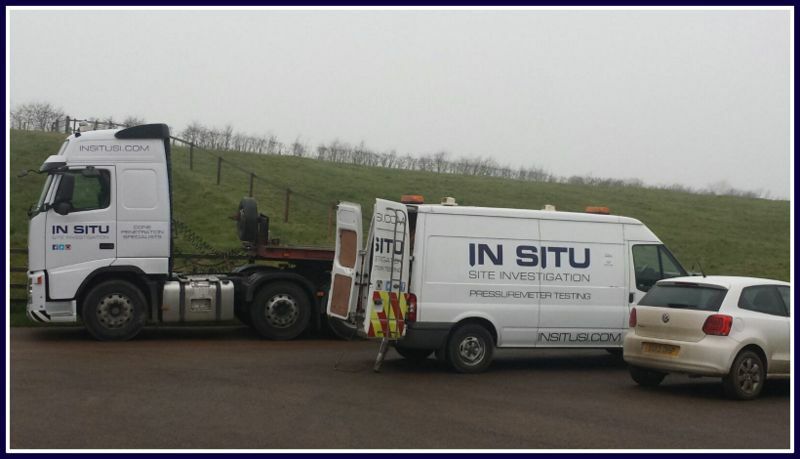 Typical sites for this rig: Hardstanding sites. 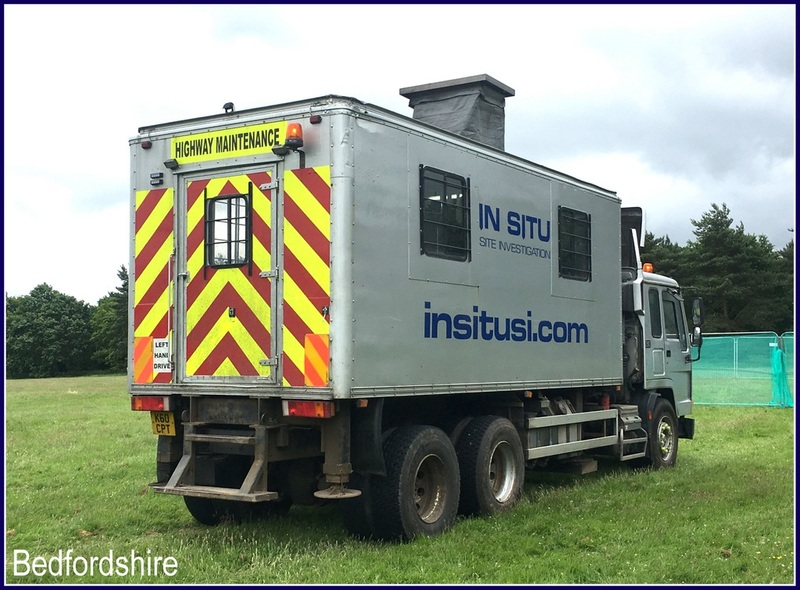 Dry non-hardstanding sites.